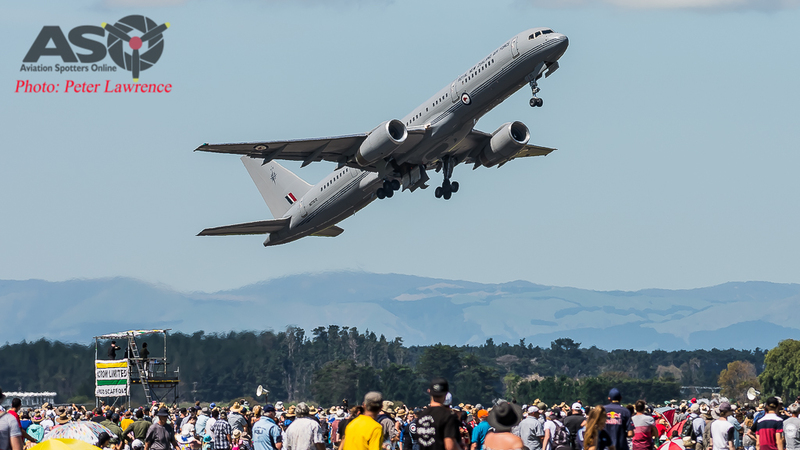 Great weather, great performers and great New Zealand hospitality…that about sums up the Royal New Zealand Air Force 2017 Air Tattoo. 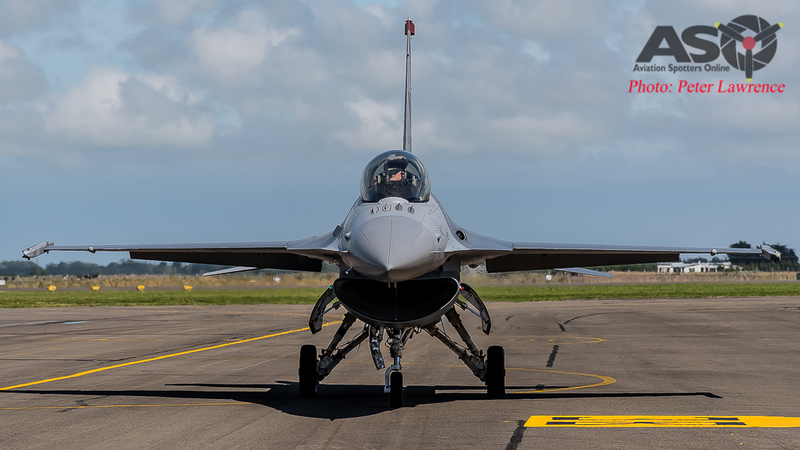 This awesome event, held over the weekend of the 25th & 26th of February at RNZAF Base Ohakea, was this year’s showcase for the RNZAF. 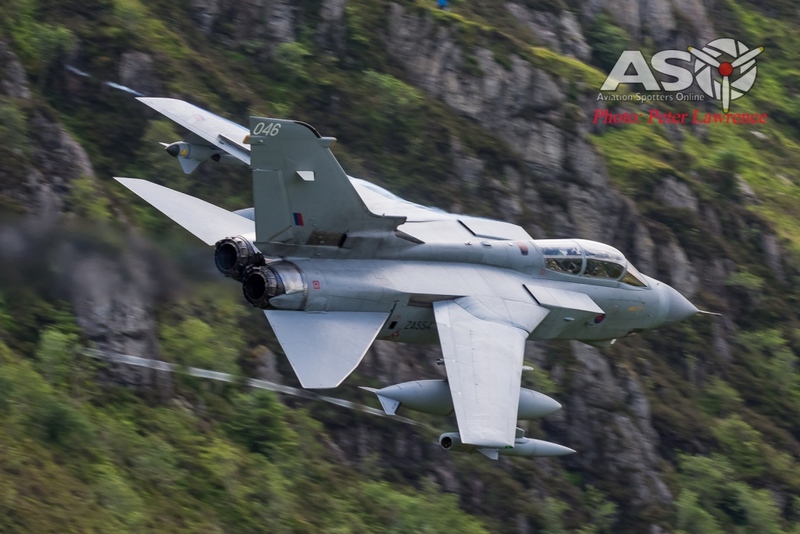 Celebrating the armed forces 80th anniversary of operation, the show premiered both the full range of local hardware as well as an impressive line-up of international performers. 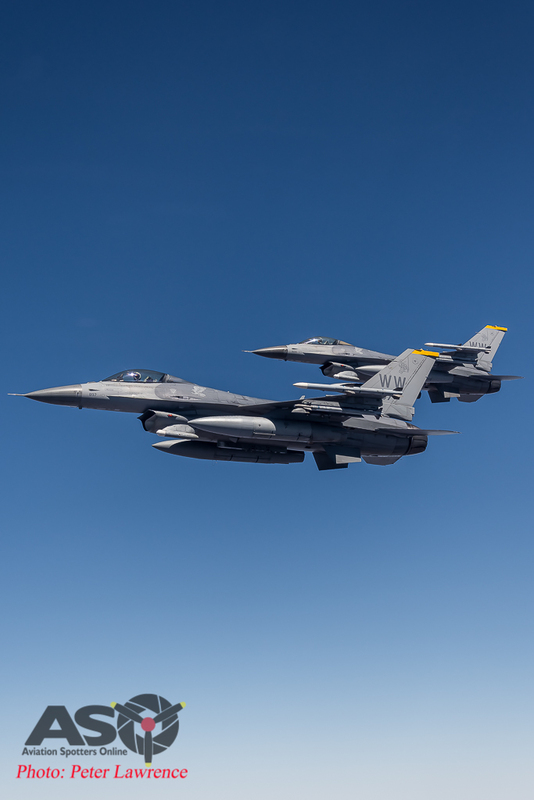 The home grown performers such as the C-130, P-3 & 757 were joined by a F-16 from the Pacific Air Forces F-16 Demonstration Team, base at Misawa Air Base, Japan, as well as a C-17 from Hickam Air Force Base in Hawaii. 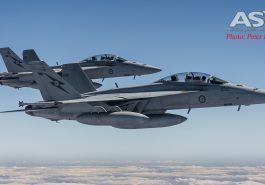 A more local flavour was presented by a pair of F/A-18 classic Hornets from number 2 Operation Conversion Unit, based at RAAF Williamtown. 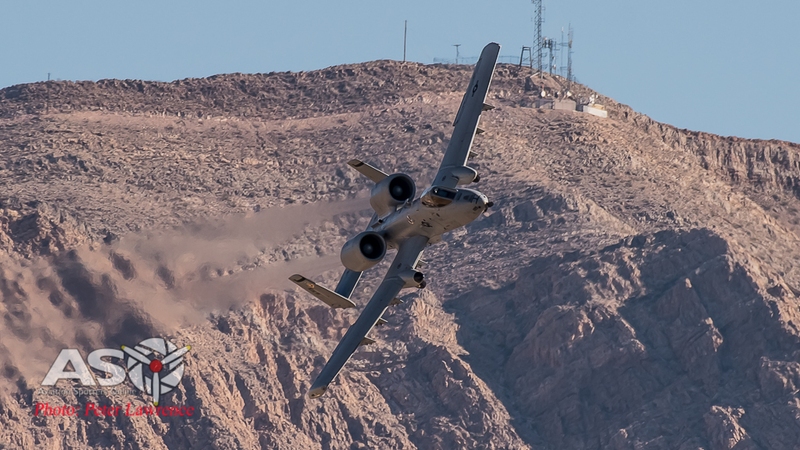 With international appearances from Canada, Japan, Australia, France, the Royal Air Force and more USAF metal, there was something for every taste on display in the static park. 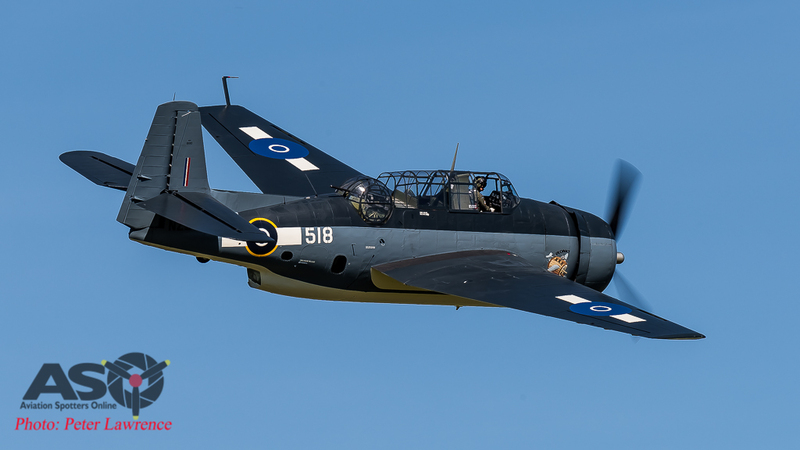 The home town hero’s, the Royal New Zealand Armed Forces, had its full range of operational aircraft on display for the eager public. No. 5 Squadron RNZAF — Lockheed P-3K2 Orion. No. 6 Squadron RNZAF — Kaman SH-2G(I) Super Seasprite. No. 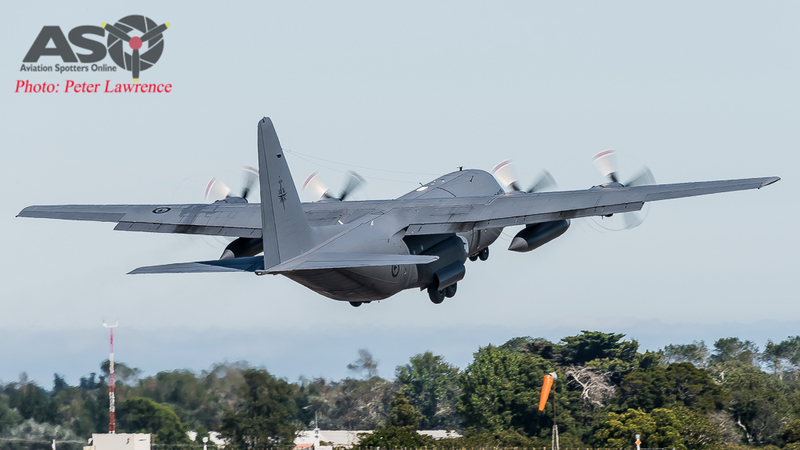 40 Squadron RNZAF — Lockheed C-130H(NZ) Hercules. No. 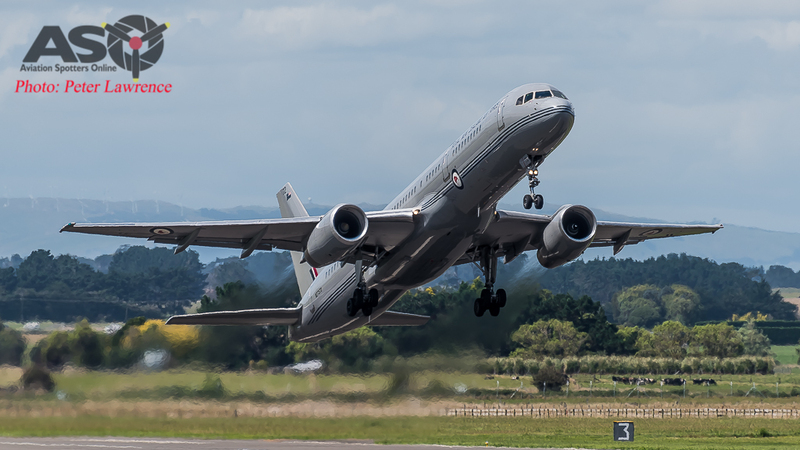 40 Squadron RNZAF – Boeing 757-2K2. No. 3 Squadron RNZAF — NHIndustries NH90. No. 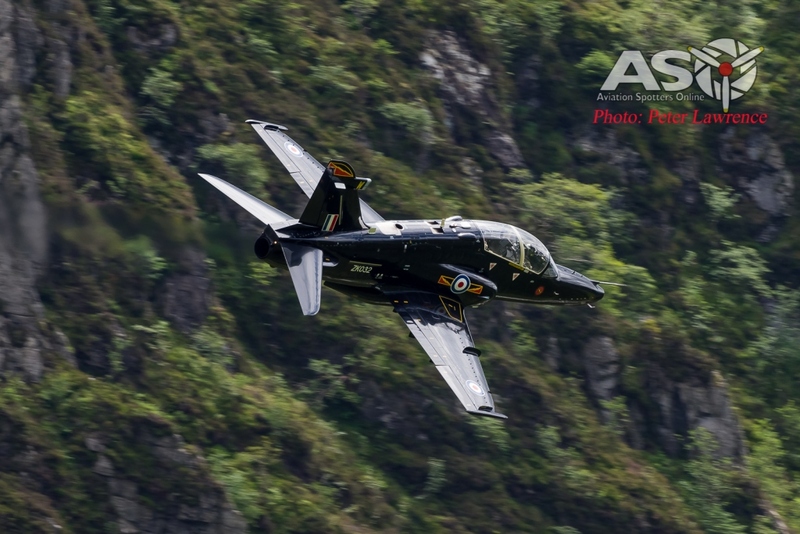 3 Squadron RNZAF – Agusta Westland A-109LUH. No. 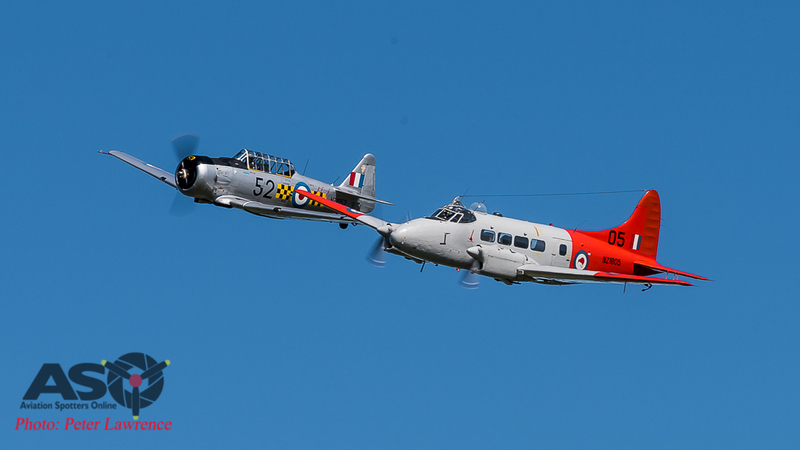 14 Squadron RNZAF — Beechcraft T-6C Texan II. No. 42 Squadron RNZAF — Beechcraft Super King Air B200. 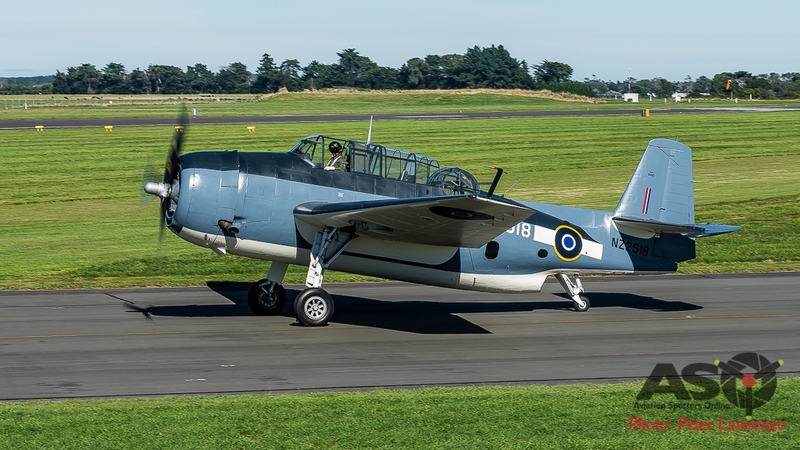 Central Flying School RNZAF — Beechcraft T-6C Texan II. 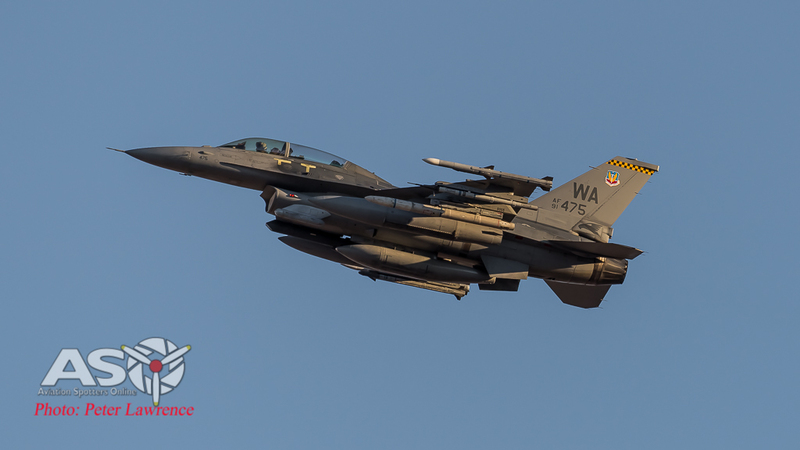 USAF F-16C from the 14th Fighter Squadron, Misawa, Japan. 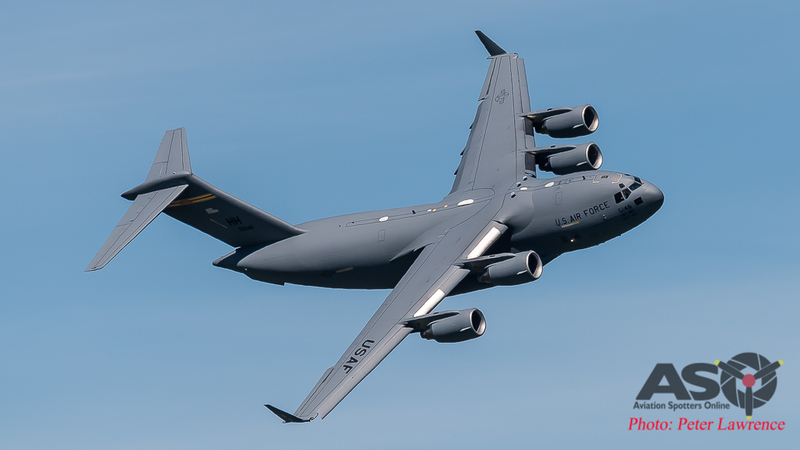 USAF C-17A from the 535th Airlift Squadron, Hickam AFB, Hawaii. USAF KC-135R from the 909th Air Refuelling Squadron, Kadena AFB, Japan. 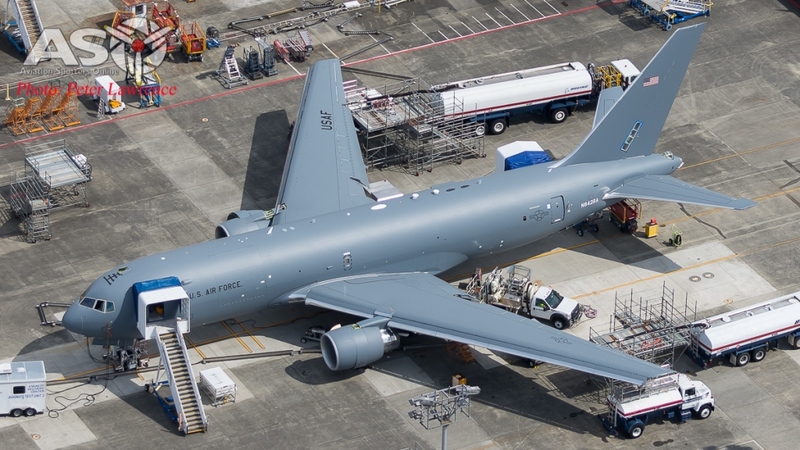 Japanese Air Self Defense Force Boeing KC-767J, 404 Hikotai (Squadron), Komaki AFB. RAAF C-17A from the 36th Squadron, RAAF Base Amberley, Australia. 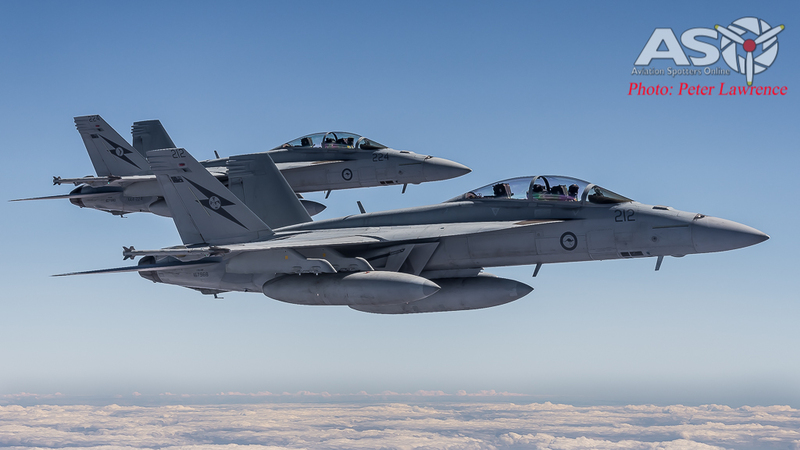 RAAF F/A-18 from 2OCU, RAAF Base Williamtown, Australia. French Armed Forces CASA CN-235 from Détachement Air 376 Nouméa. Republic of Singapore Air Force C-130H from the 122nd Transport SQN, Paya Lebar AB, Singapore. Royal Canadian Air Force C-130J of the 436th Transport Squadron, CFB Trenton, Canada. Royal Air Force A400M from 70 Squadron, RAF Brize-Norton, England. 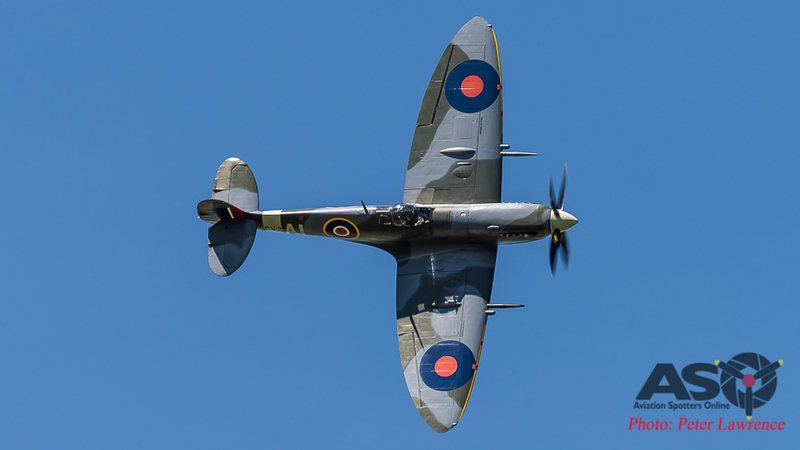 The locals put on an amazing display, ranging from solo performances to mass flypasts. One of my favourites was the formation of 2 x C-130’s, 1 x P-3 & 1 x B757 flying towards the crowd then performing a “bomb burst”. It was impressive to say the least. 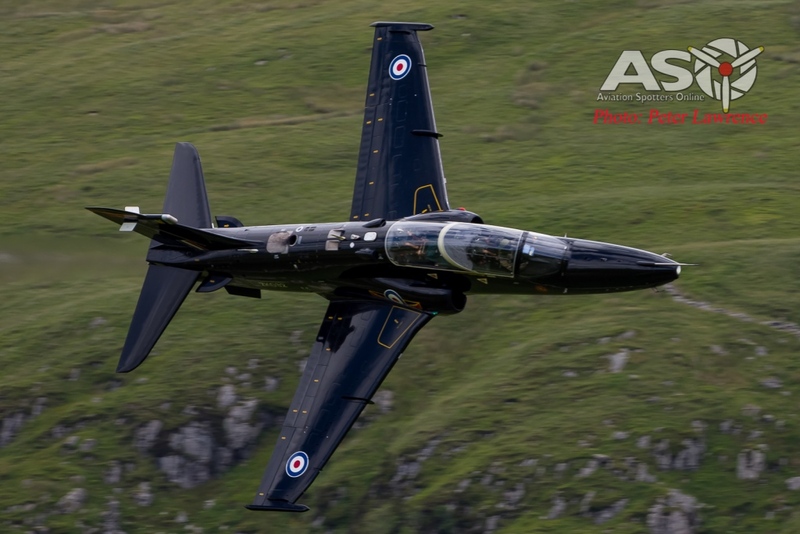 Also reforming this year were the RNZAF display team, the Black Falcons. 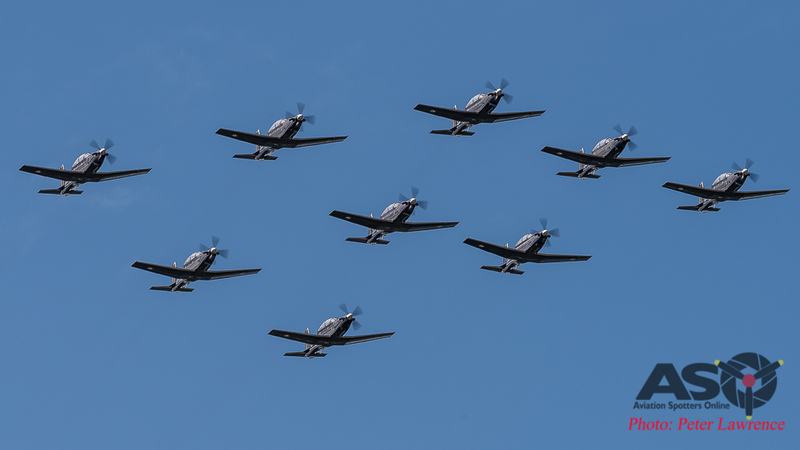 This team, lead by Squadron Leader Brett Clayton, use the new Beechcraft T-6 Texan II. 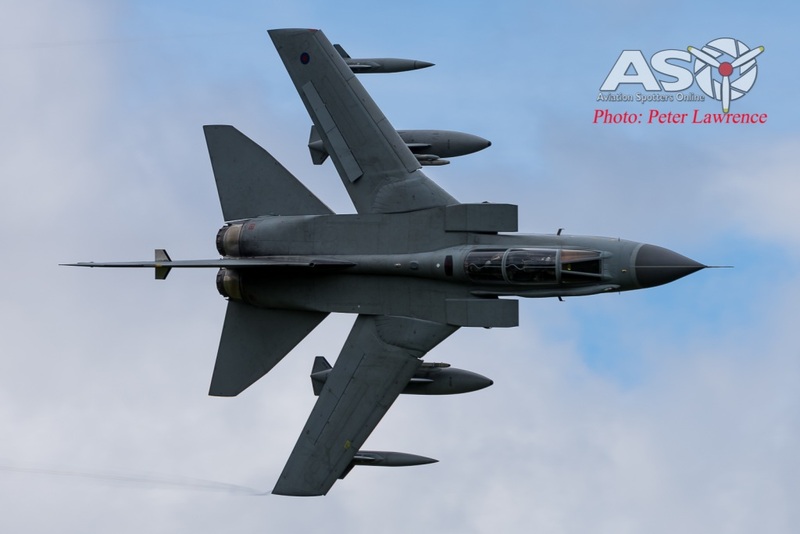 The Air Tattoo was their first display for the season and it was a great performance. 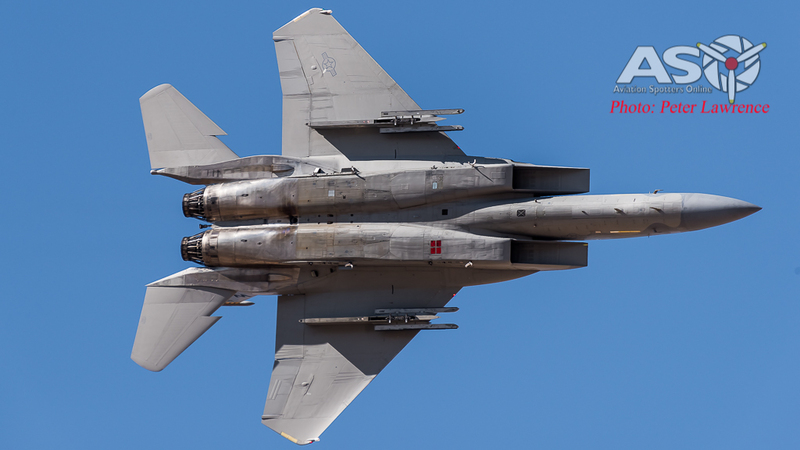 As expected, there was a healthy rivalry between the RAAF F/A-18 display and that of the USAF F-16. 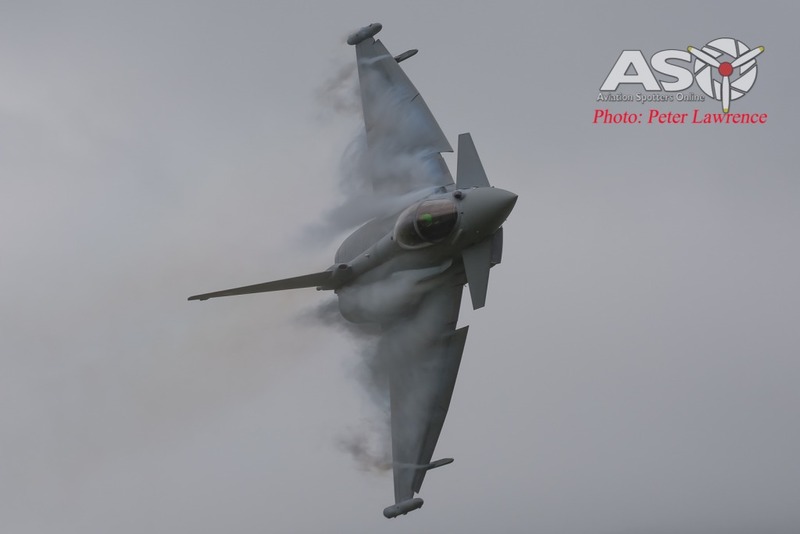 Both put on a very dynamic display, with plenty of vapour and burner for the crowd. 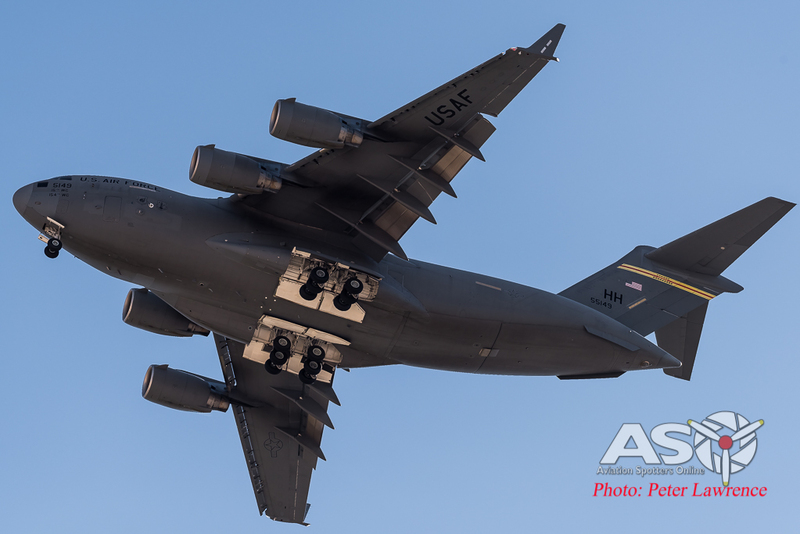 Also putting on a spirited show was the USAF C-17, again showing how impressive the large tactical transport can be. 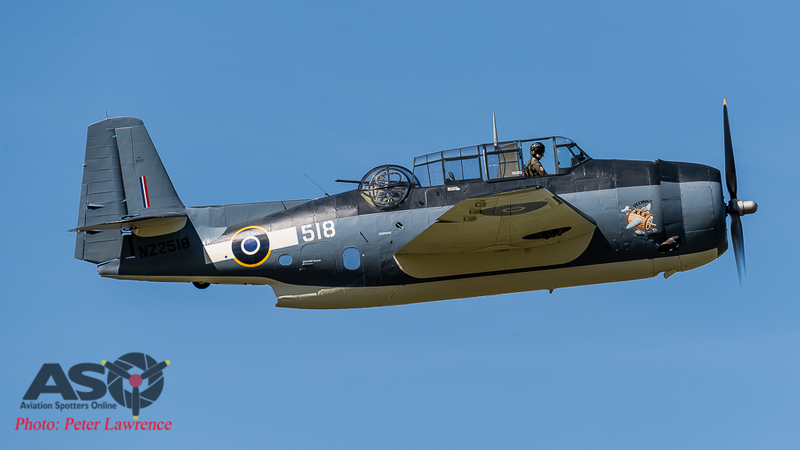 With a mix of select warbird displays included for good measure (Grumman Avenger, DC-3, Spitfire & Devon to name a few), it was a immensely enjoyable weekend for all. 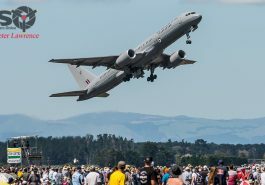 Overall the show was of a very high standard, showing again that the New Zealand Defence Force can host an Air Show that rivals anything in the region. 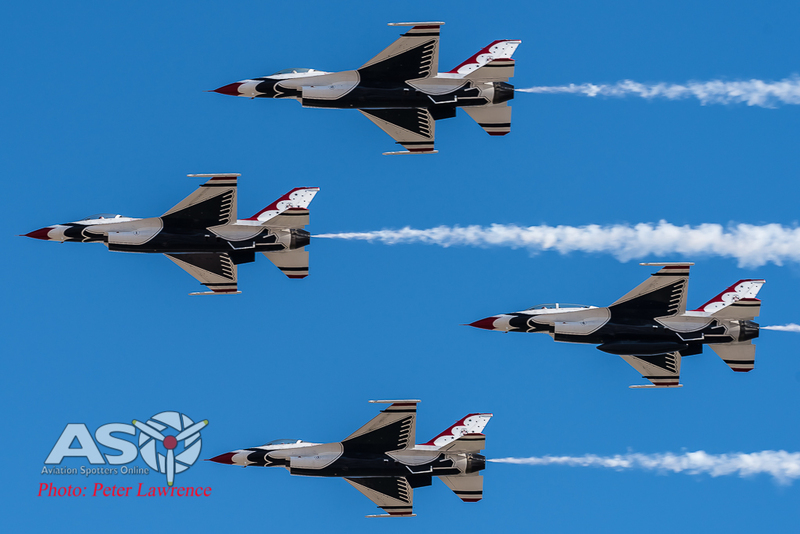 The Royal Australian Air Force will add some extra excitement to the Barossa Airshow this weekend with displays by the Roulettes and Air Force Balloon. 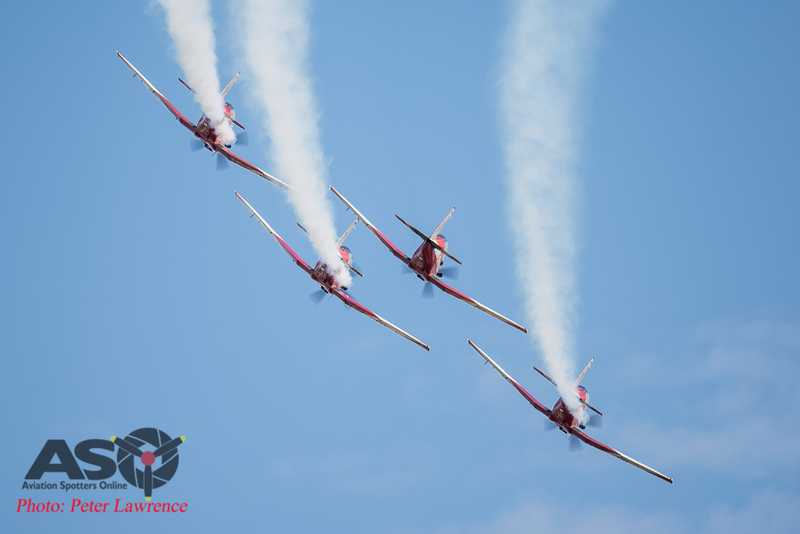 The ever-popular Roulettes aerobatics team will be demonstrating the skills and manoeuvres that have entertained Australian crowds for almost five decades. 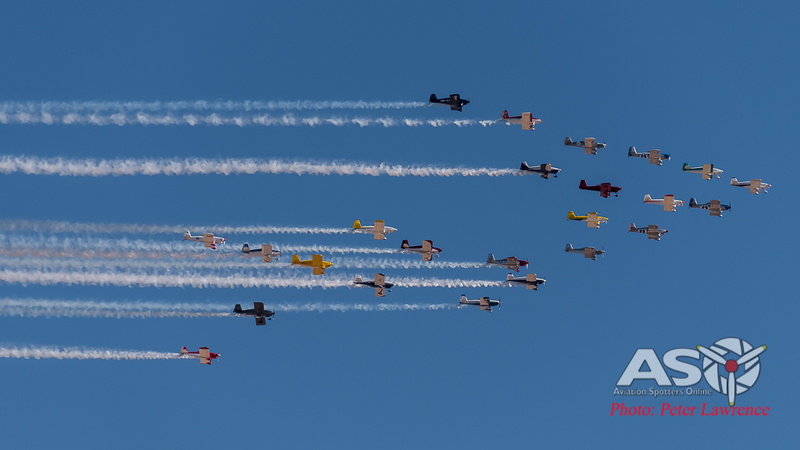 The Roulettes are set to put on their crowd-pleasing display at approximately 12.05pm (local time). To add even more excitement to the event, the Air Force Balloon crew will be there with a fully-inflated hot air balloon. Crew members from the Air Force Balloon will be available to talk to show-goers about the magic of hot air ballooning and allow visitors to take a closer look at this popular Air Force asset. 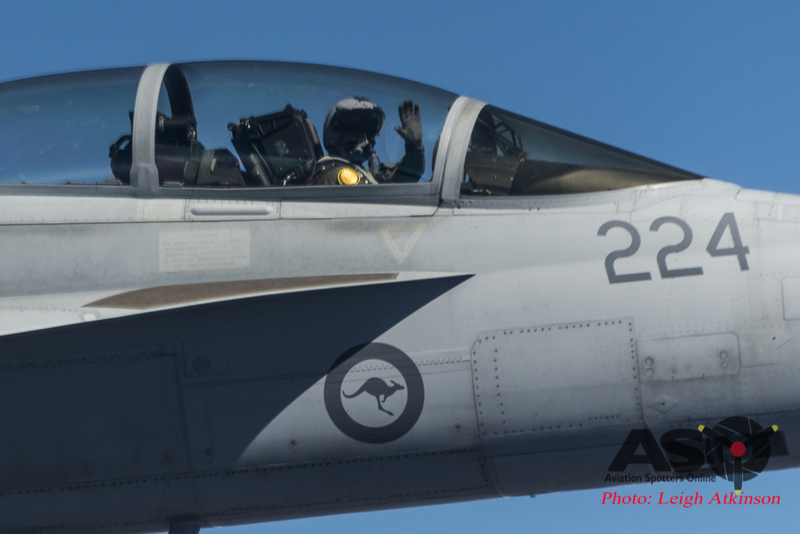 Airshow enthusiasts will also have the opportunity to meet current serving members at the Defence Force Recruiting stand and see firsthand the many exciting and rewarding jobs available to them in the Australian Defence Force. 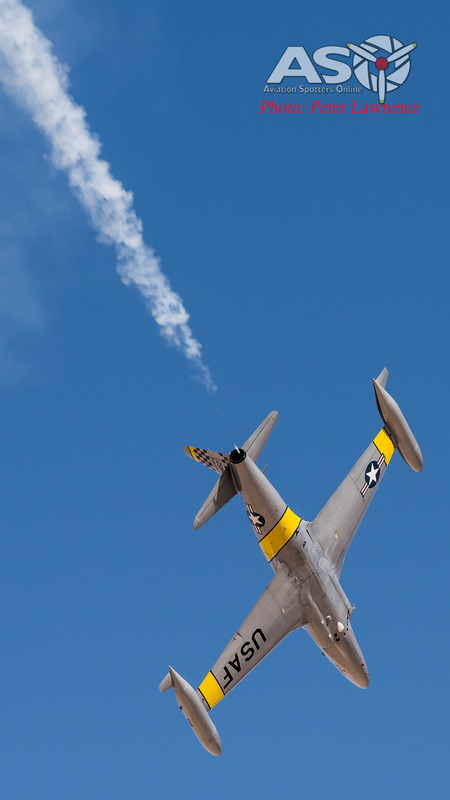 The Barossa Airshow is a biennial event that has been running since 1998. This year’s event will be the show’s 10th anniversary. 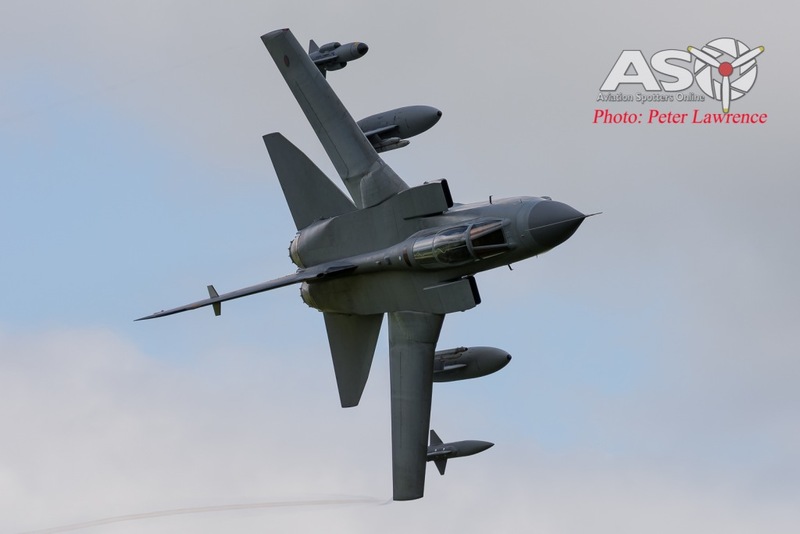 The Royal Australian Air Force is proud to support public events such as the Barossa Airshow whenever possible. 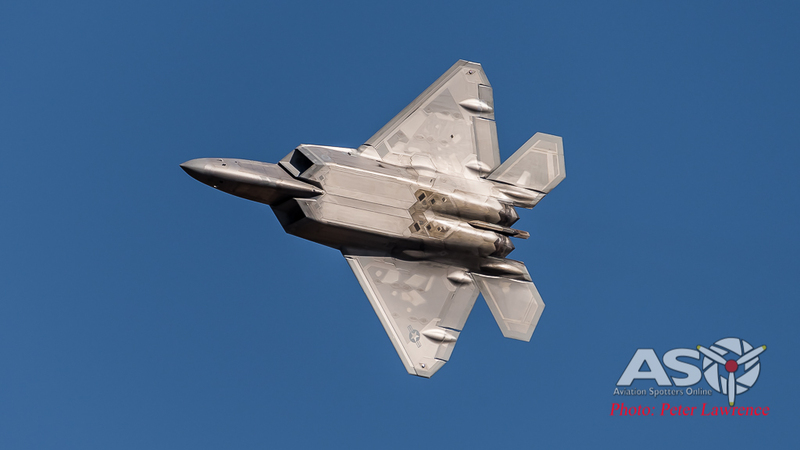 A squadron of United States Air Force (USAF) F-22 Raptors will arrive in Australia today ahead of the first Enhanced Air Cooperation (EAC) activity in Australia under the US Force Posture Initiatives. 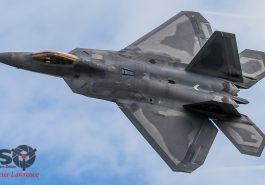 The Minister for Defence, Senator the Hon Marise Payne said the visiting F-22s will be located at RAAF Base Tindal and will be the largest and longest rotation of fifth-generation aircraft to Australia to date. 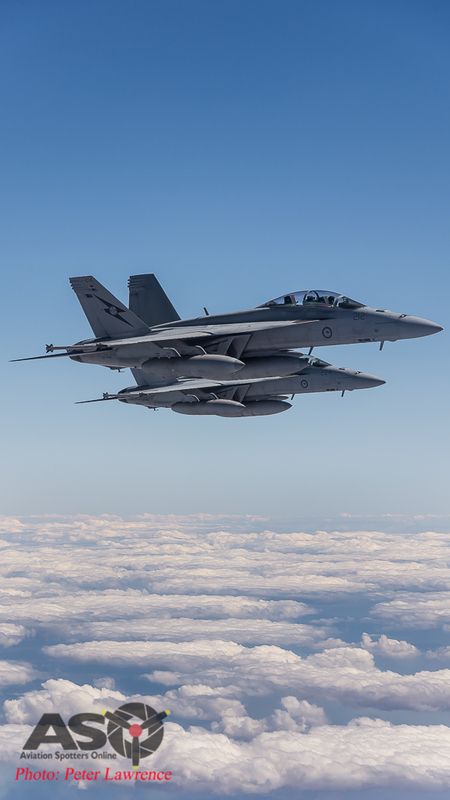 “The F-22s will conduct integrated training activities with the Royal Australian Air Force’s 75 Squadron F/A-18A/B Hornets along with ground assets and personnel,” Minister Payne said. The commencement of EAC activities in 2017 will continue to strengthen our already close air-to-air relationship with the United States. 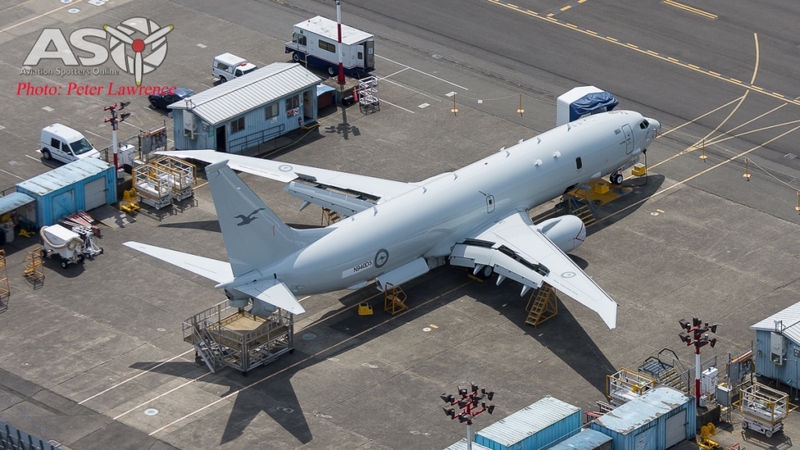 “The EAC will build on a range of air exercises and training activities already undertaken between Australia and the United States,’’ Minister Payne said. 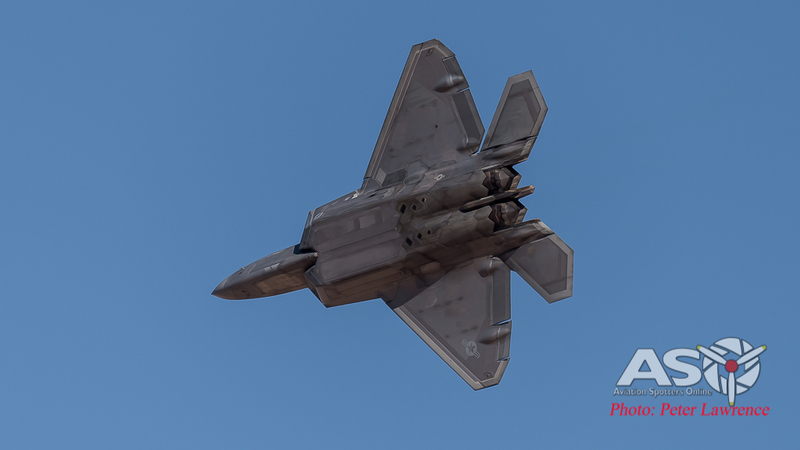 While visiting RAAF Base Tindal, the USAF F-22s along with the Royal Australian Air Force’s F/A-18A/B Hornets will conduct short training visits to Townsville while the F-22s will also be on public display at the Australian International Air Show in Avalon. 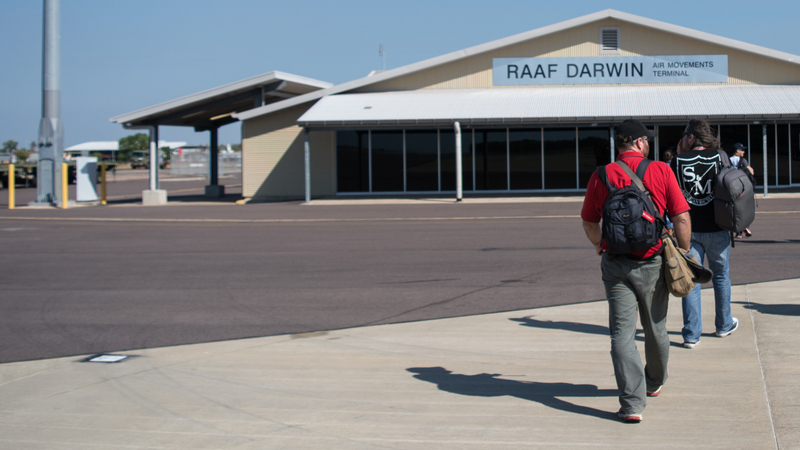 The commencement of EAC activities will be followed by the sixth rotation of United States Marine Corps personnel to Darwin. 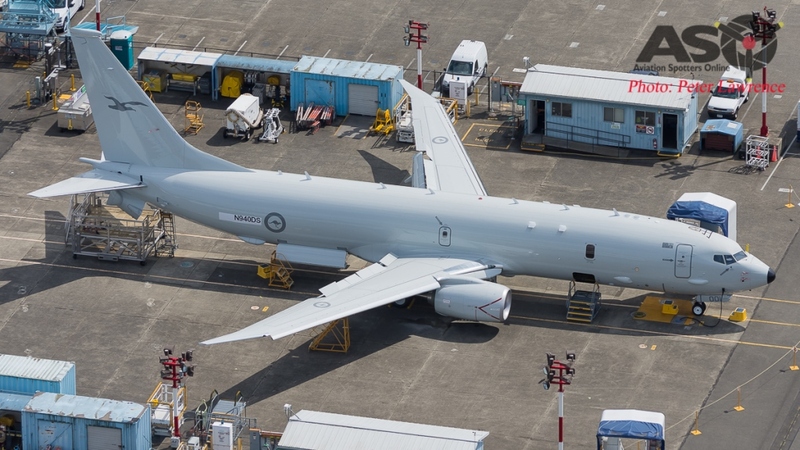 The 2017 rotation, arriving in Darwin in April, is forecast to be the most complex Marine Air Ground Task Force deployed to Australia. 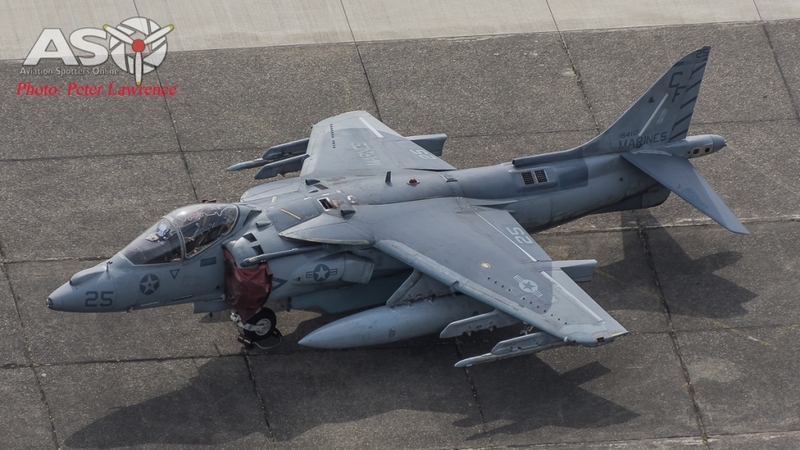 Approximately 1,250 Marines and up to 13 aircraft, including four MV-22 Ospreys, will create opportunities for more complex and sophisticated training activities. 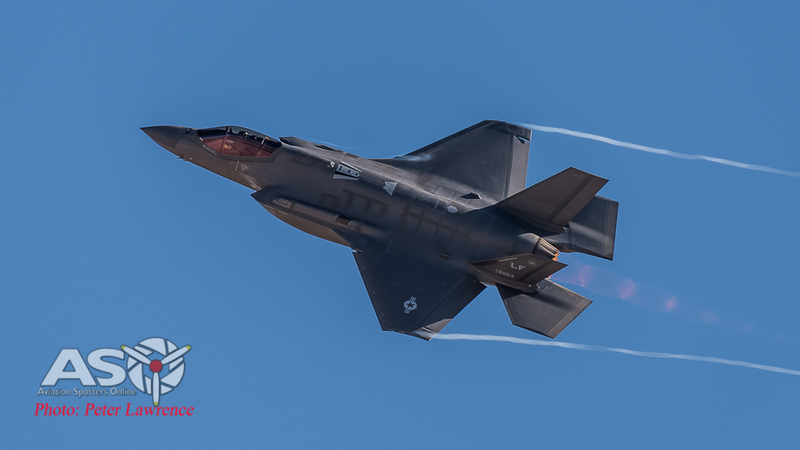 At the start of the year when deciding which air shows around the world I would like to attend, Aviation Nation 2016, held at Nellis Air Force Base in the Nevada desert, was one of the first onto that list. 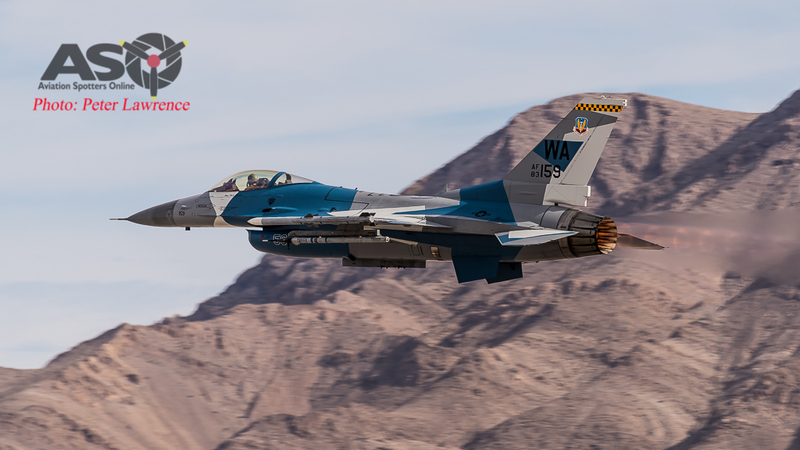 Not only is Nellis AFB a location that anyone with even a passing interest in military aircraft should visit, it also allows you to spend a week in Vegas! 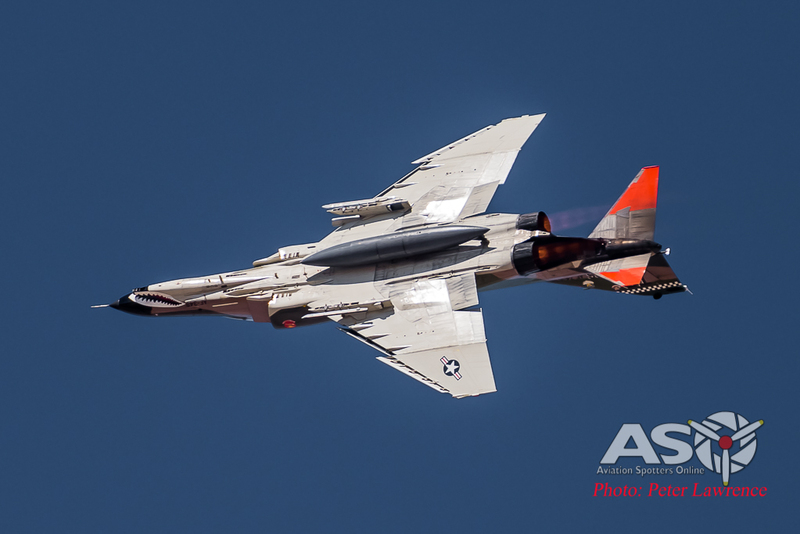 This year’s show was all about the celebration of 75 years of air power at Nellis. 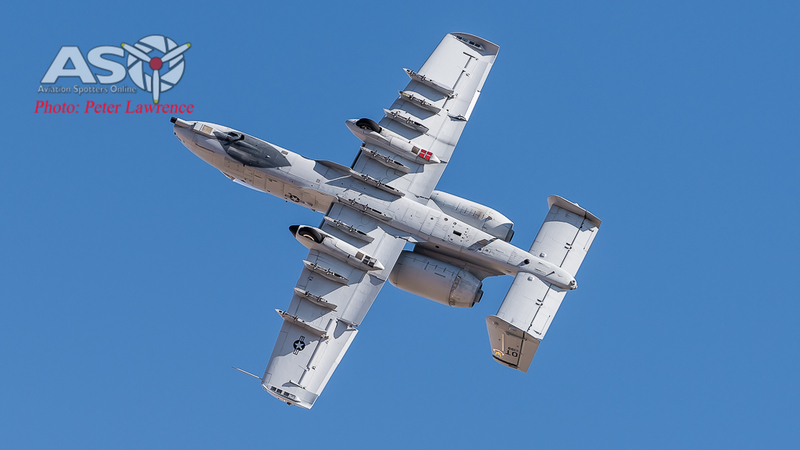 From its humble beginnings as an army air field in 1941, Nellis has grown to be one of the most important US military installations in the country. 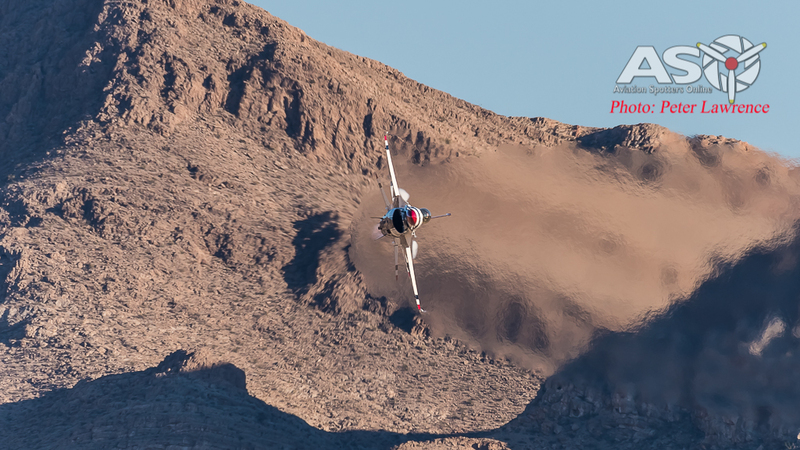 Nellis is the home base for the USAF Thunderbirds and this was to be their final display of the season. 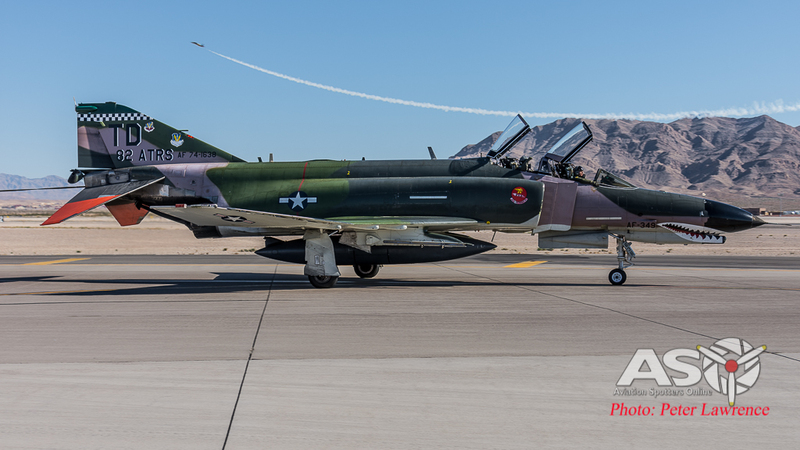 It was also to be the last official showing of the venerable QF-4 Phantom II. This alone has helped bring more than 250,000 people through the gates over the 3 day event. 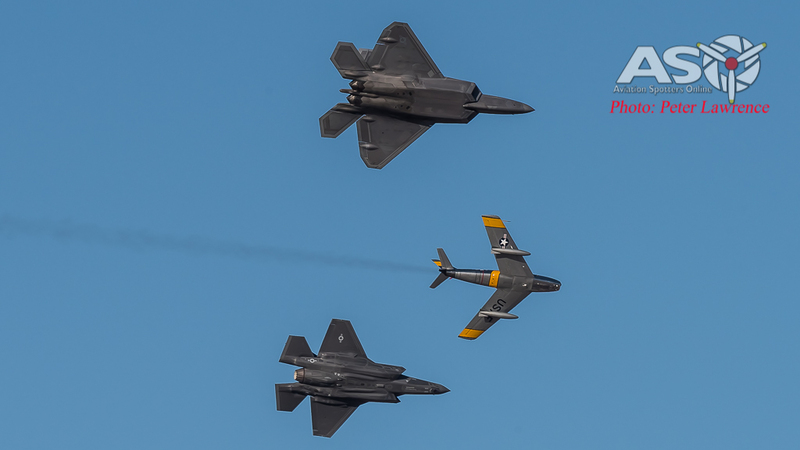 From amazing military displays to jaw dropping civilian performers, Aviation Nation was an outstanding success. As the sun set at around 5PM on the Sunday afternoon, I couldn’t help to think that over the last few days I had been privileged to attend one of the best shows of the year. 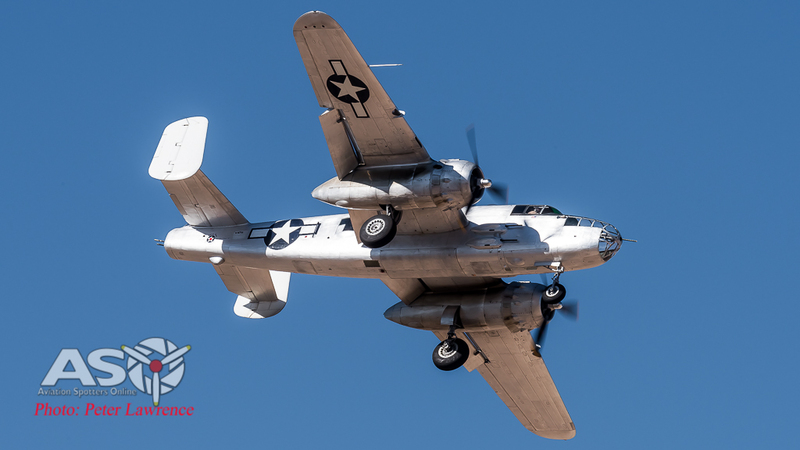 With a great range of aircraft on static and a host of impressive aerial displays, Aviation Nation delivered on its promise to be an event not to be missed. The trip started straight away when I arrived at McCarran airport on the Wednesday before the show. I jumped into the rental car (a convertible Chevy of course!) and headed directly to the Las Vegas speedway. 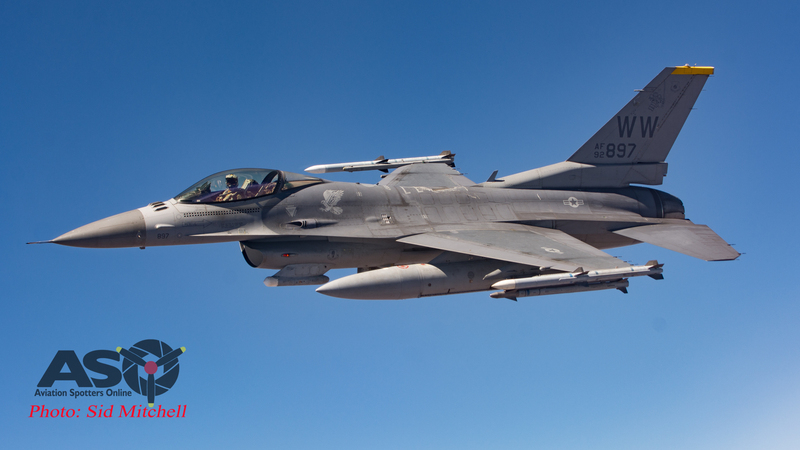 The Las Vegas speedway, a hot spot for car enthusiast to watch cars that can only turn in one direction, is also famous around the world for its amazing views of Nellis AFB arrivals & departures. Although the sun position only gets good after lunch, the afternoon lighting is some of the best around, with amazing mountain ranges in the background. 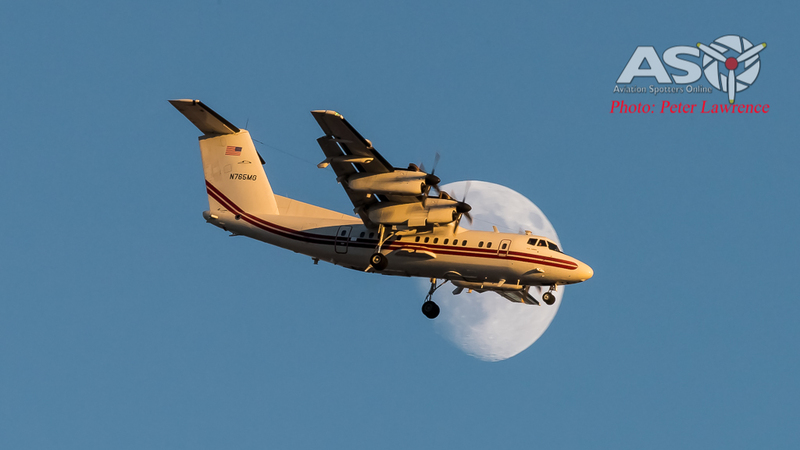 By the time I arrived most of the day’s flying had finished, but I did manage to catch this shot of a C-130 departing into the sunset. 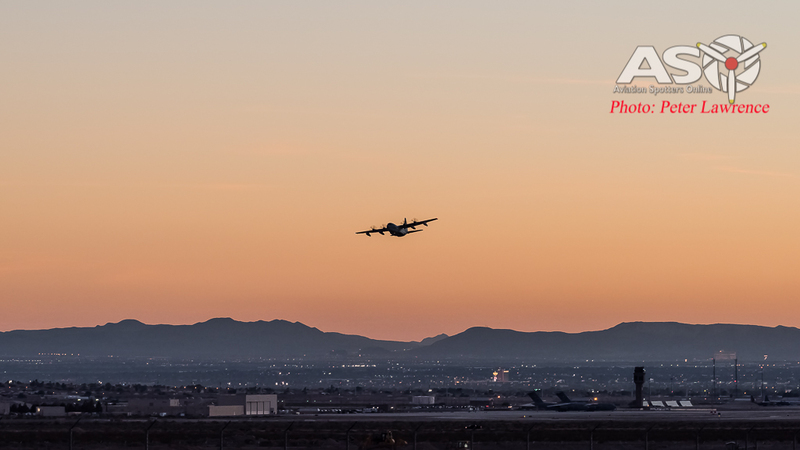 Hercules departs Nellis as the sun sets on Vegas. Thursday morning started at around 8:00am up at the speedway, and this is where I stayed until sunset. The famous Las Vegas Speedway road. The day started slowly but gradually built up as it went on. 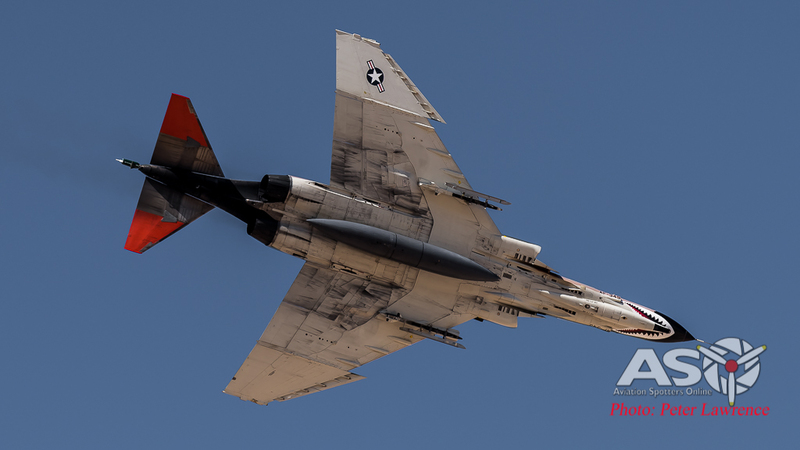 The main goal was to catch the scheduled arrival of the two QF-4 Phantoms at around 15:00. The crowd grew in number…..I would estimate around 100 persons lined the road as we hit mid afternoon. 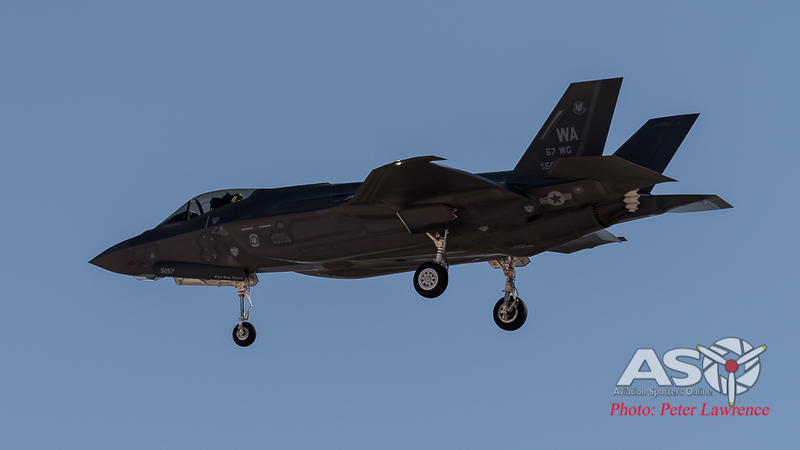 Thursday was the unofficial arrivals day, but we also saw plenty of flying from the regular & visiting units that are based at Nellis. 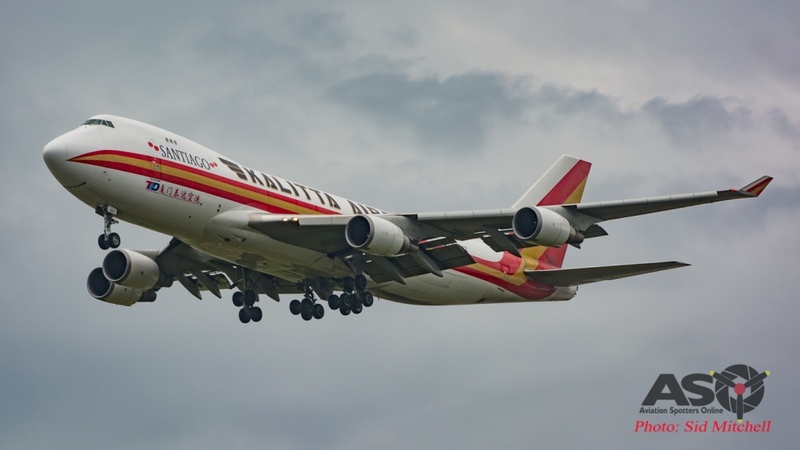 The majority of arrivals were scheduled to land in between the launch and recovery of the afternoon sortie of the local units. 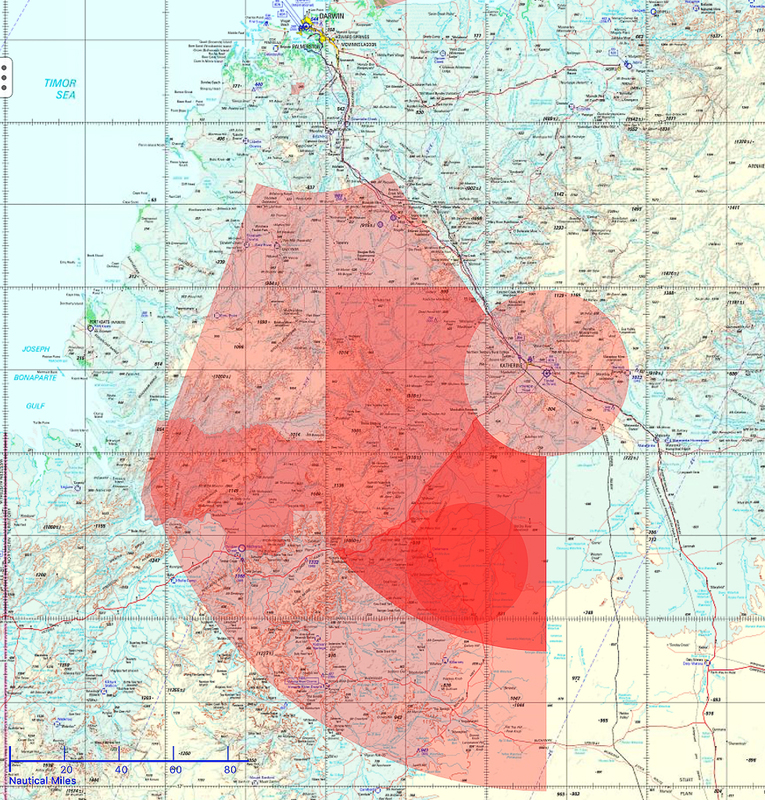 This gave ATC a window of about 2 hours to try and receive the majority of display aircraft, both static and flying. 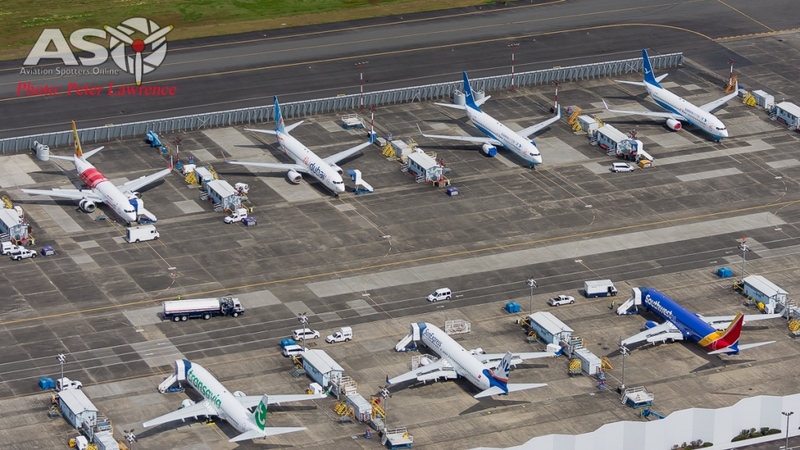 Eventually wave after wave of aircraft arrived, with almost every sector of aviation accounted for. 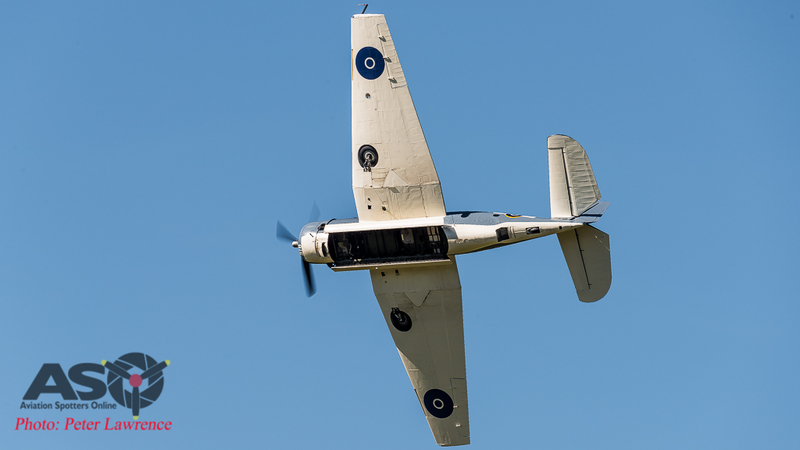 Everything from fast jets to transports, warbirds and even flying boats made their approaches. Even as the last light disappeared behind the ranges a few stragglers continued to arrive. 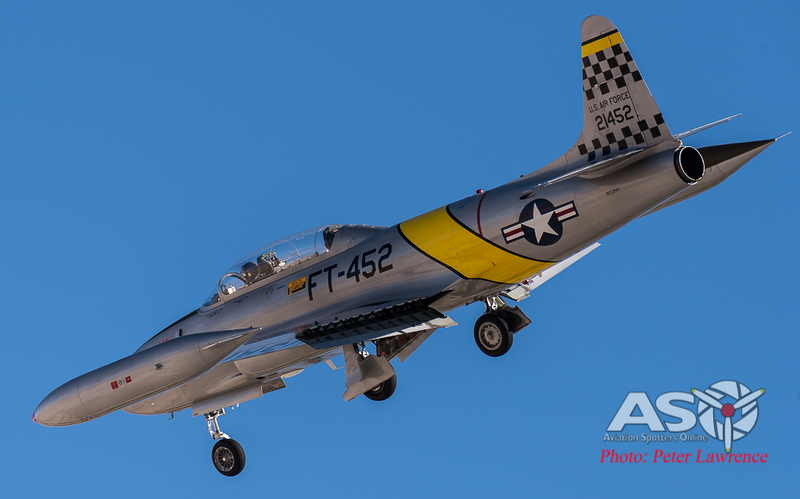 Friday was spent at the other end of Nellis on a road called East Cheyenne Ave. This offers a good mix of display passes and landing shots. 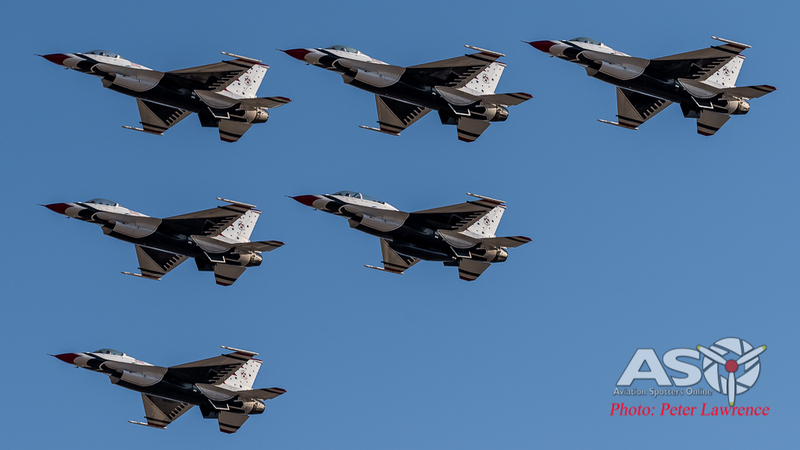 With basically the full program being run for the Family & Veterans Day on base, it provided us photogs with a practice run of what is flown and where, including the USAF Thunderbirds. Saturday morning started with the usual horrible alarm at 5am. A quick stop for coffee and a bagel saw us charged and near the front of the line for the buses to the show. Overall, considering the volume of people that the organizers needed to move, the transport arrangements were adequate. A quick few hours was spent running around the static line-up before setting in at the fence line at the southern end of the display axis. 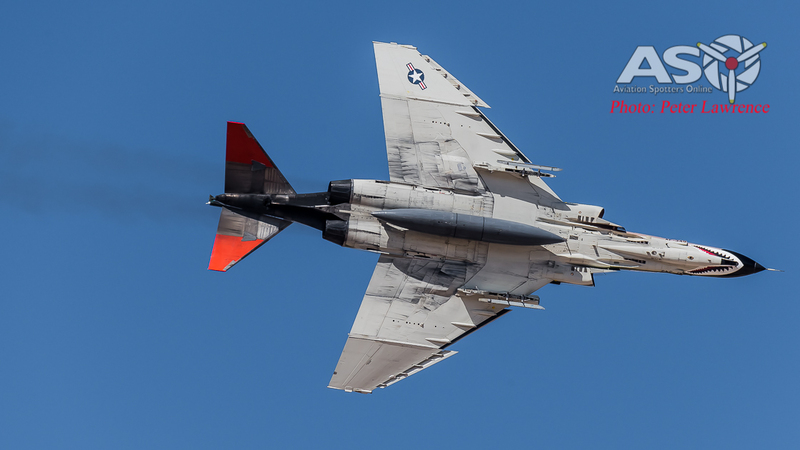 Of cause the star of the show was the QF-4 Phantom II from Holloman AFB. 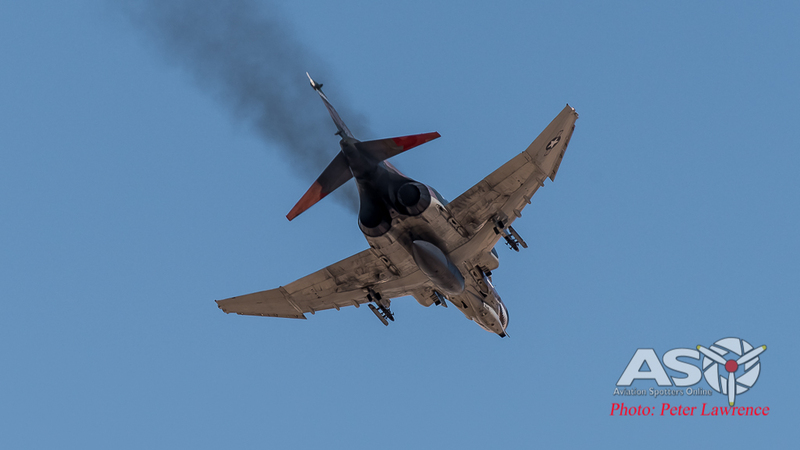 This put on a great display for the crowd with plenty of speed and afterburner! Overall Saturday was a success although a high level overcast that set in around 14:00 did present a challenge for photography. Sunday on the other hand was shaping up to be a cracker of a day. 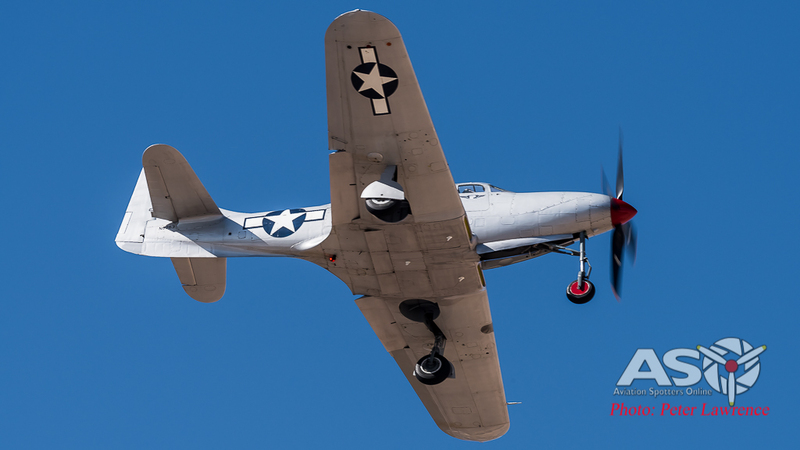 Light & variable winds, clear skies and awesome company set the tone from early on in the day. With a fence line position setup more to the north than on Saturday, we were in a prime position to grab some amazing shots. 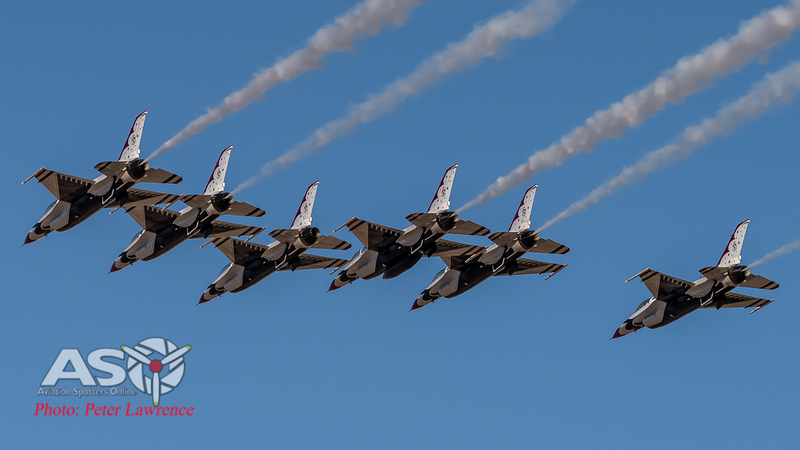 And amazing it was, the show was finished off, yet again, with the ever impressive USAF Thunderbirds. 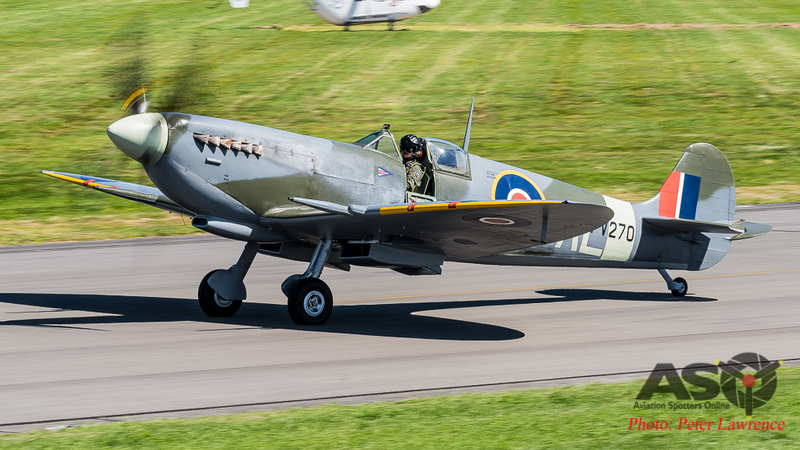 It’s not just the airshow that makes trips like this worthwhile. The people you meet and the friendships you make are really what stay with you the longest. 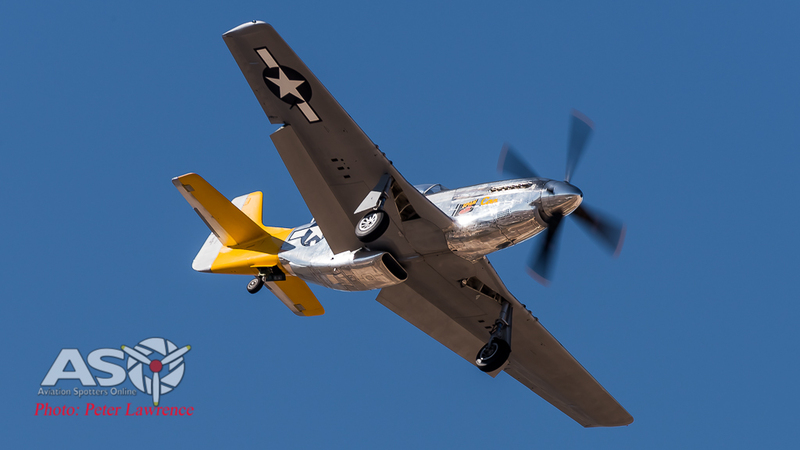 Meeting like minded people who share the same passion for aircraft and photography are, in the end, the best part of the adventure. I’d like to also extend a big thank you to the men and women of the United States Armed Forces who make events like these possible. 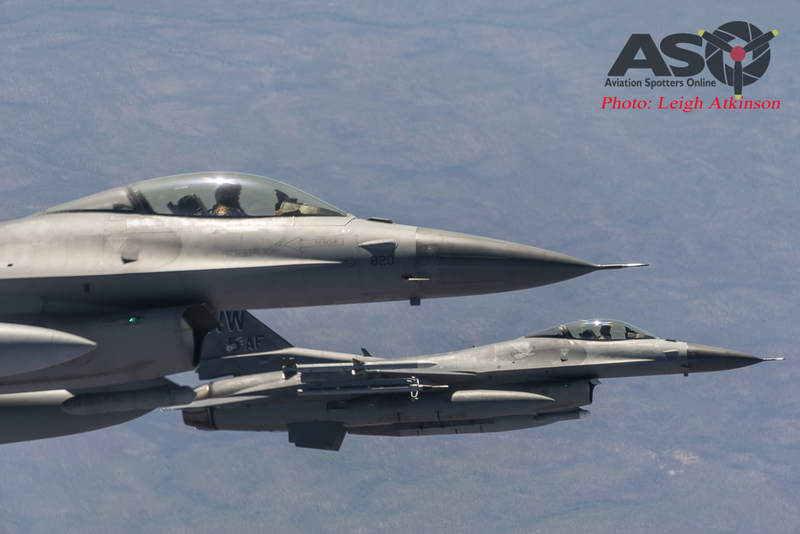 As always we at ASO thank you for your service. Seattle – From The Air! 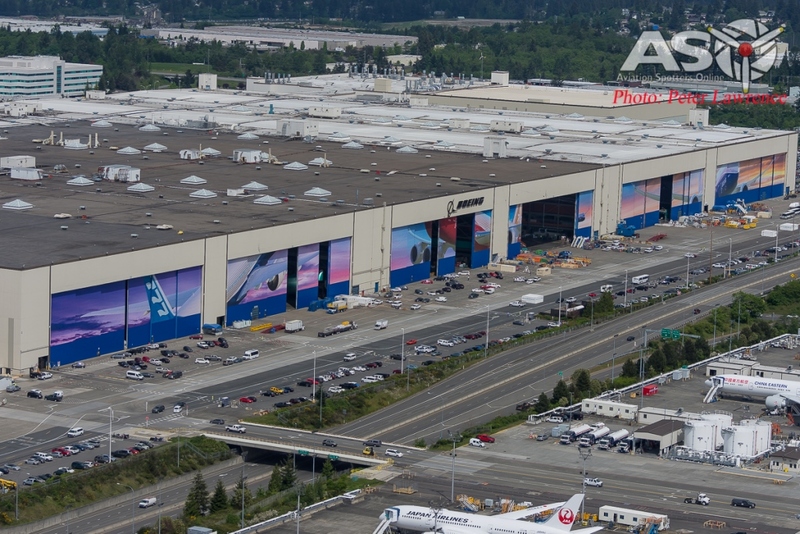 I nervously smiled as we finally lifted off the ground and departed from Boeing Field towards our first destination, Renton. The words of someone who is scared of flying? No. Just someone who has never been in a helicopter before! Those who know me would be aware that I fly passenger planes for a living so heights are no issue, but having never really trusted helicopters (or otherwise known as a random collection of parts moving in the same direction) I was always going to be a tad apprehensive of this flight. Thanks though, in no small part to the professionalism of the person behind the controls, friend and fellow pilot Bernie Leighton, I was soon at ease and having the time of my life! 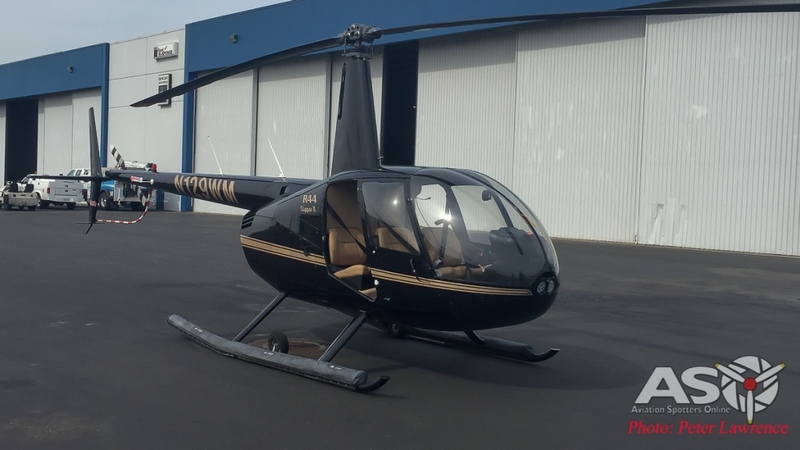 The chopper itself, a Robinson R-44 (N129WM), is a staple around the world for all manner of jobs, from mustering to our use today, air-2-ground photography. 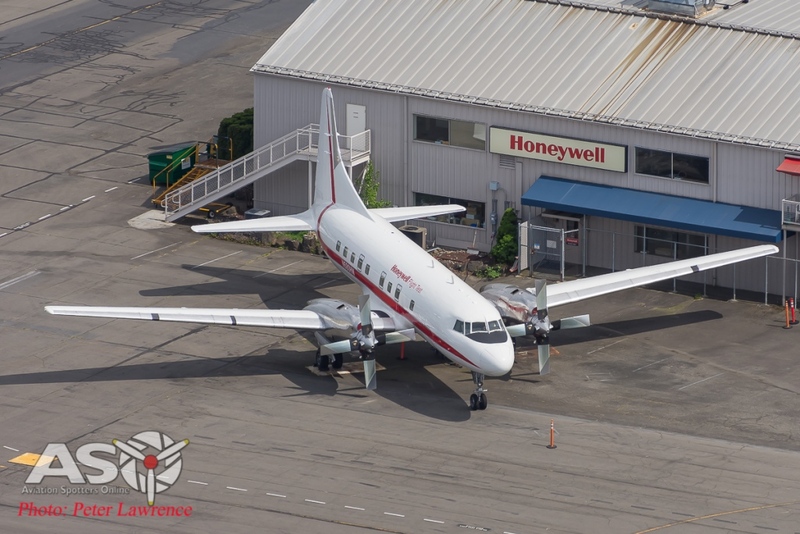 We departed Boeing Field and headed for Renton airport, a short 5 minute flight covering around 4 nautical miles. 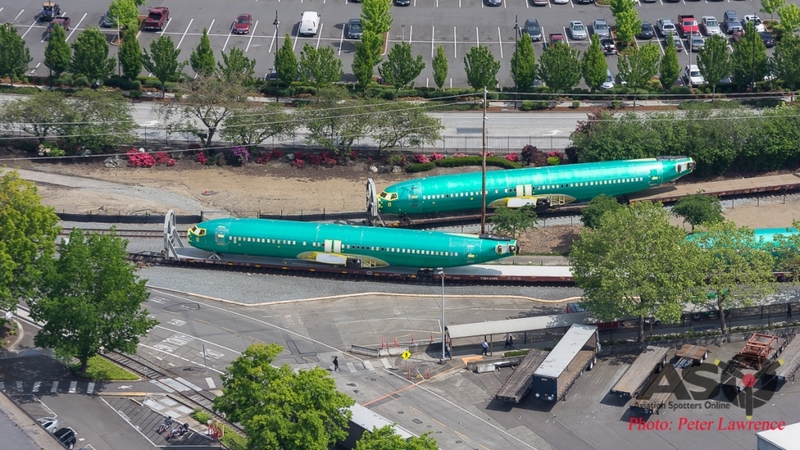 737 shells arrive at Renton ready for the next stage of assembly. 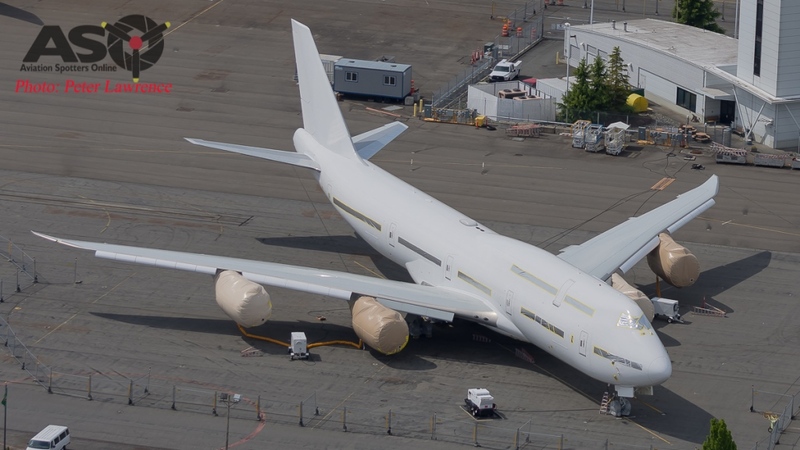 As well as seeing 737 bodies out in the open during the day, the highlight at Renton was seeing the first of the Australian P-8’s on the ramp getting ready for its first flight, which occurred only days later. 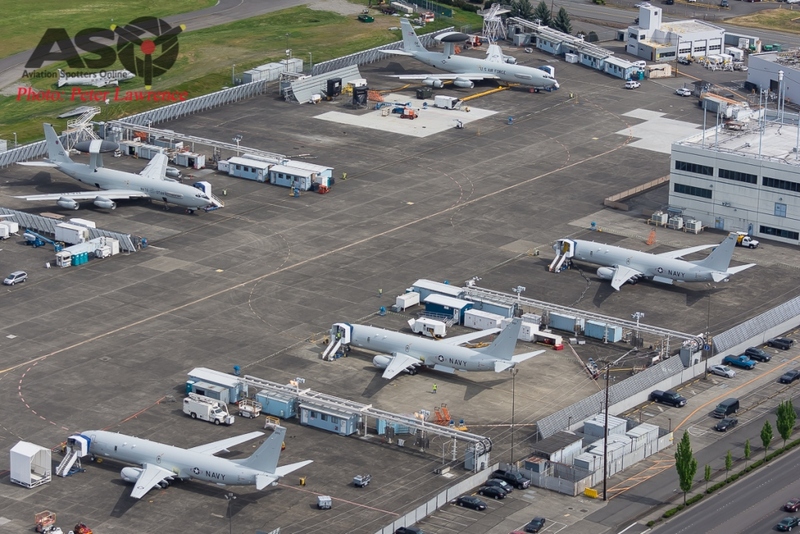 After 15 minutes or so we departed Renton and headed north towards the holy grail of civilian airports, Paine Field….home of The Boeing Aircraft Company. The building where magic happens! I must point out before we got to KPAE (it took about 15 minutes to transit) we passed over some spectacular scenery, from rolling hills to beautifully leafy suburbs (including the awesome looking Google offices!). 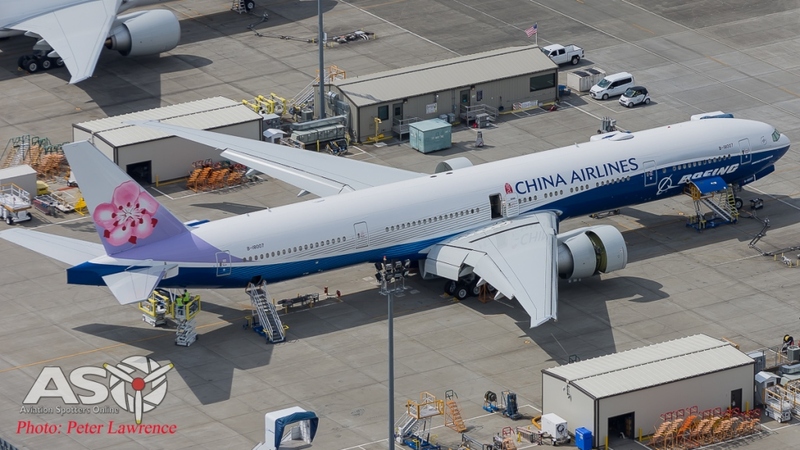 Arriving at Paine Field we were treated to a spectacular line-up of aircraft, from the expected Boeing 747, 777 & 787’s to some more unusual types. 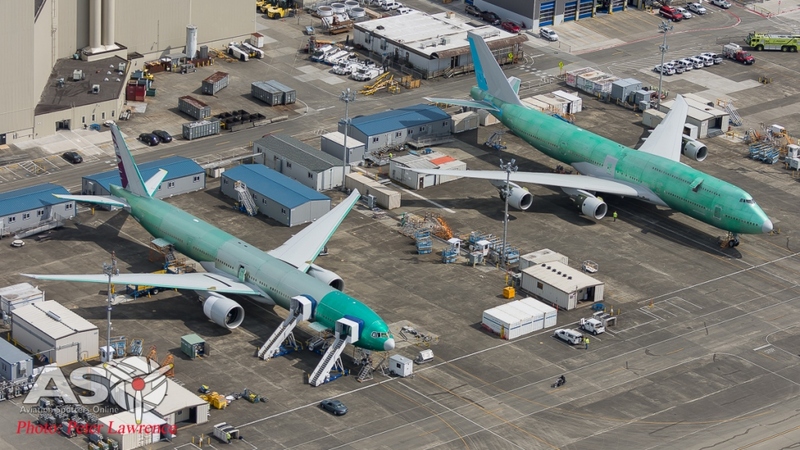 These included a KC-46 in the final stages of assembly, and a 747-8i with no exterior markings that I later found out was being prepared for a private middle eastern buyer (oh to have that sort of money!). 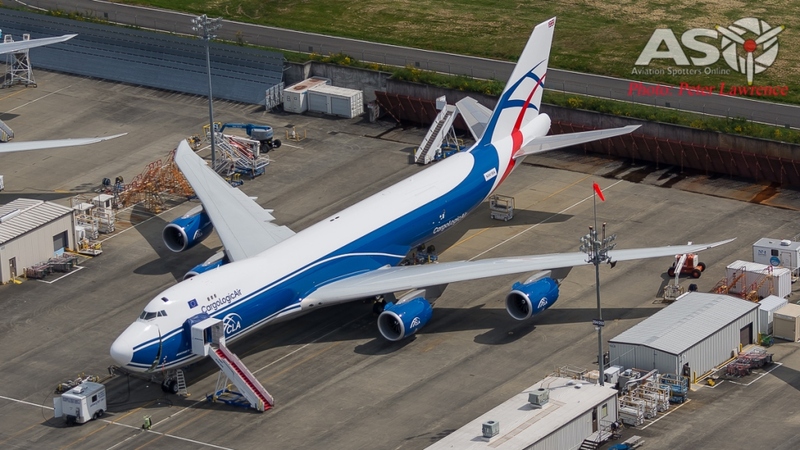 A 747-8i for a private customer! It was amazing how helpful air traffic control were in allowing us almost free reign over where we went. This was also helped by the outstanding piloting skills shown by Bernie! 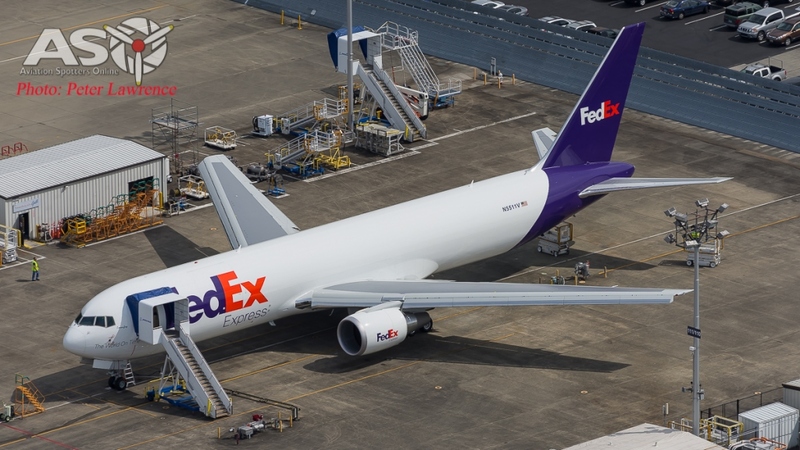 767’s Are still rolling off the production line…but only as freighters! Lots of maintenance still happens at Payne Field. After a good 20-25 minutes at Paine Field we had to start the journey home. 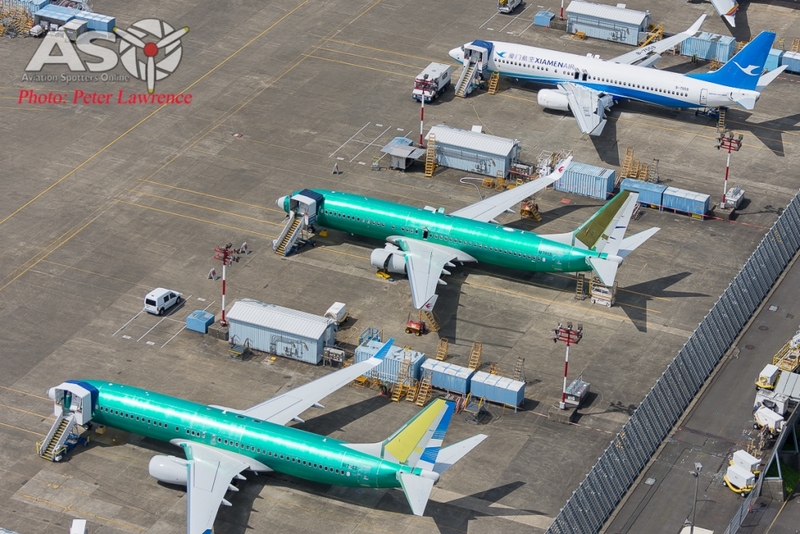 We took in some more Seattle city highlights and then arrived back at Boeing Field for our final 15 minute photo shoot. 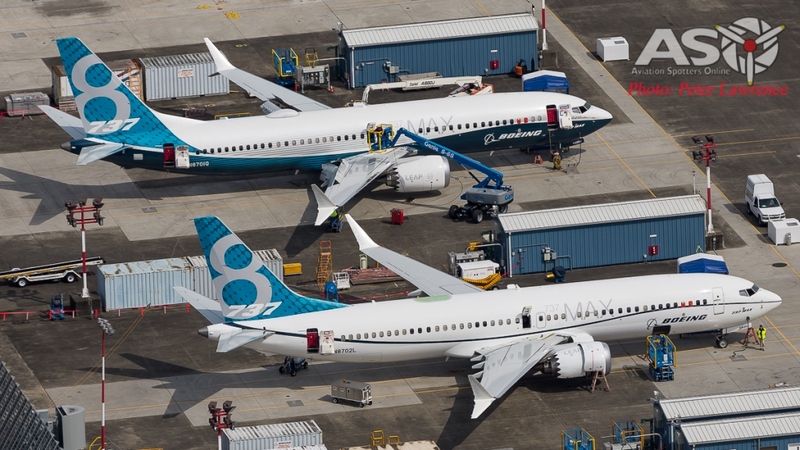 Again we were greeted by a bevy of targets, including a mass of 737’s in various guises (737 MAX test aircraft, multiple civilian airliners and a mass of US Navy P-8’s). 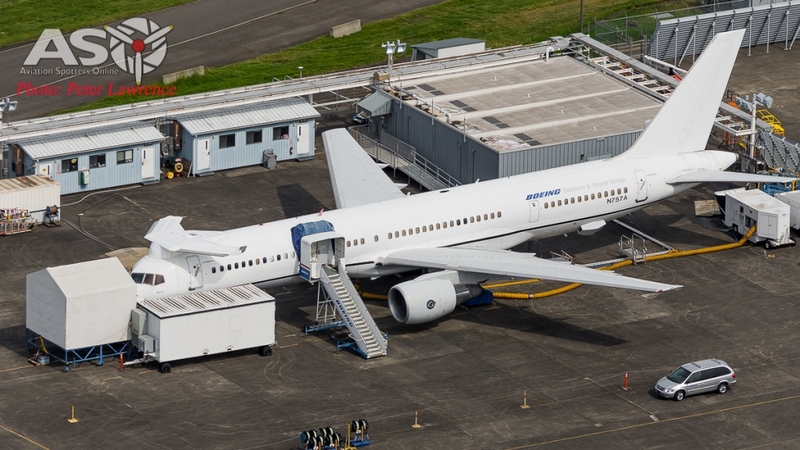 A tester 757 – the F-22 Avionics testbed. 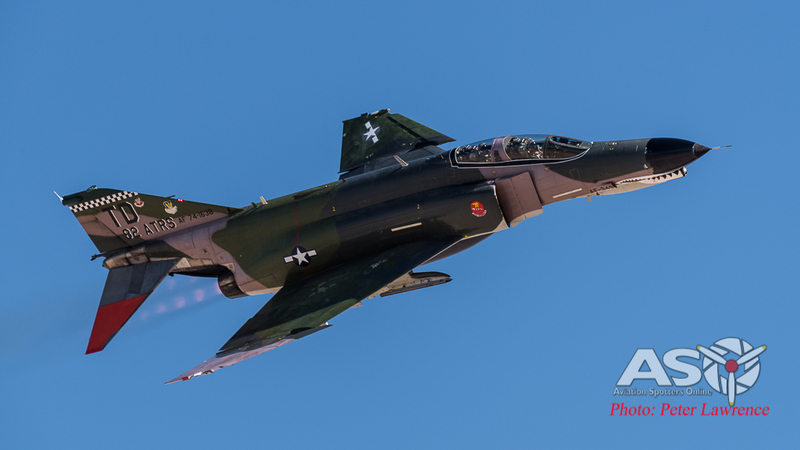 We also grabbed a few shots of the other interesting craft, including a Lynden Air Cargo L-382, the Boeing 757 F-22 Avionics testbed and one of my favorites, a USMC AV-8B Harrier II from the VMA-211 Wake Island Avengers, based at MCAS Yuma, AZ. All in all it was a very enjoyable 75 minute flight, one that I won’t soon forget. I had the privilege of having my dad join me for the trip so it was a great journey for both of us. Again I cannot thank Bernie and Atomic Helicopter Services enough for making it such an incredible experience. 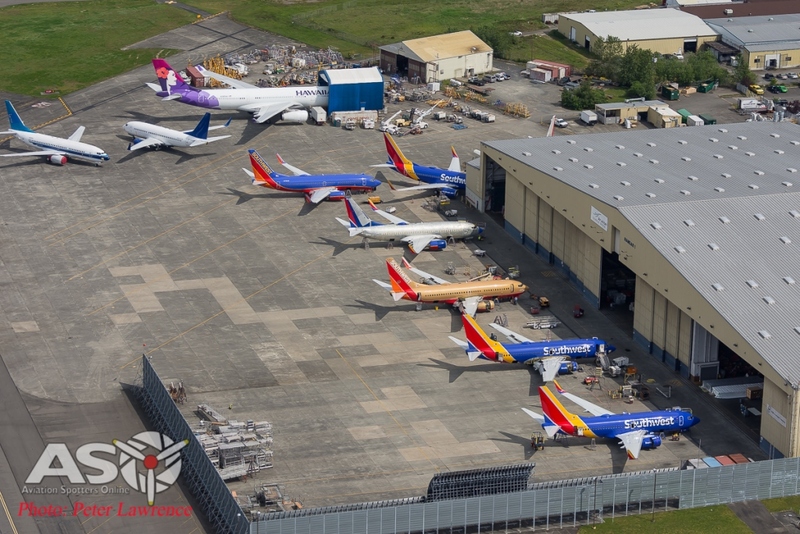 If you are looking to do any sort of helicopter work in the Seattle area, from this type of aerial photography to just a simple tourist joy flight, I can’t sing their praises enough. 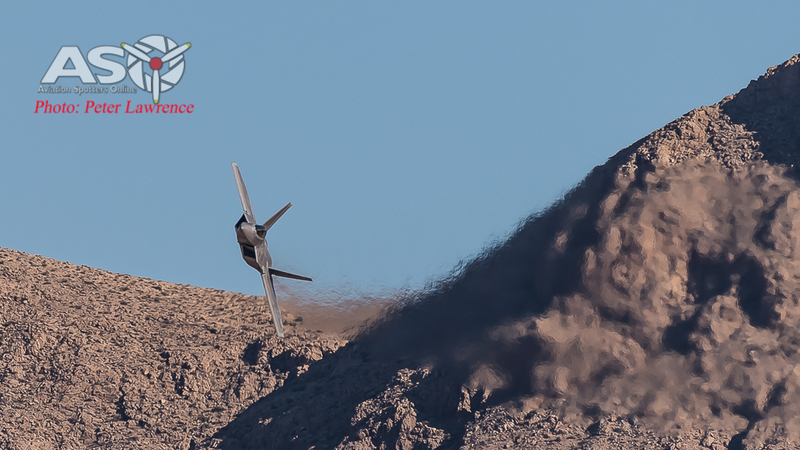 Thanks again for reading….it’s off now to work on the next air-2-ground report, this time from Tuscon, Arizona! 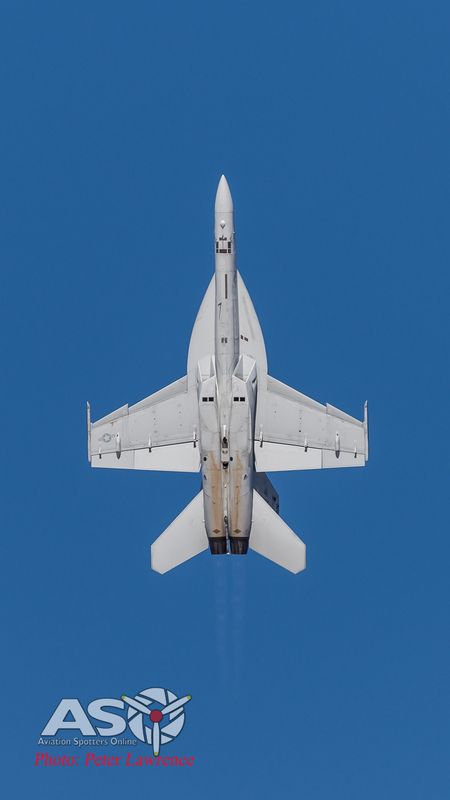 Heads up for some ADF flying today in Canberra. 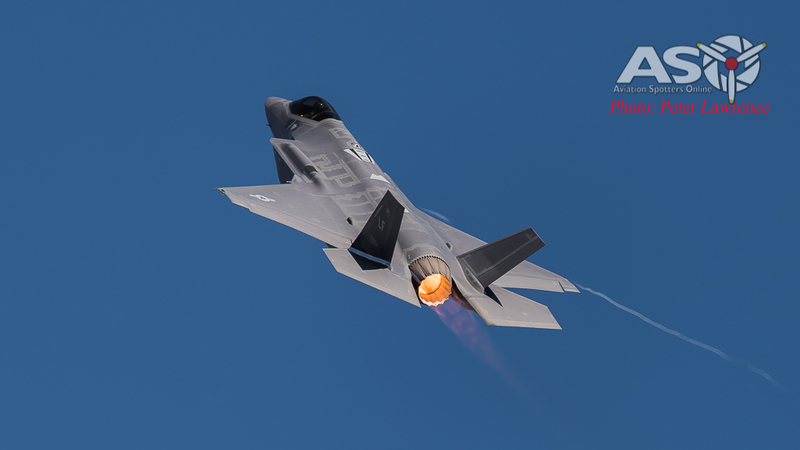 What: Flying activity will be conducted over the ADFA Parade Ground at Northcott Drive, Campbell, ACT. 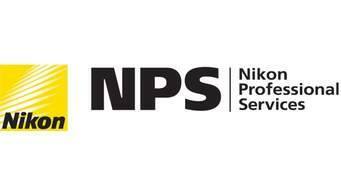 When: Navy Helicopters will arrive from Friday 26 August 2016 at approximately 3:00-5pm and depart on Saturday 27 August 2016 at approximately 4:30pm. 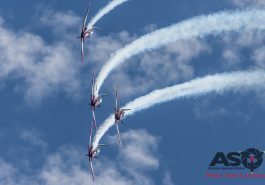 The Roulettes will perform on Saturday 27 August 2016 between 11:50am and 12:05pm. 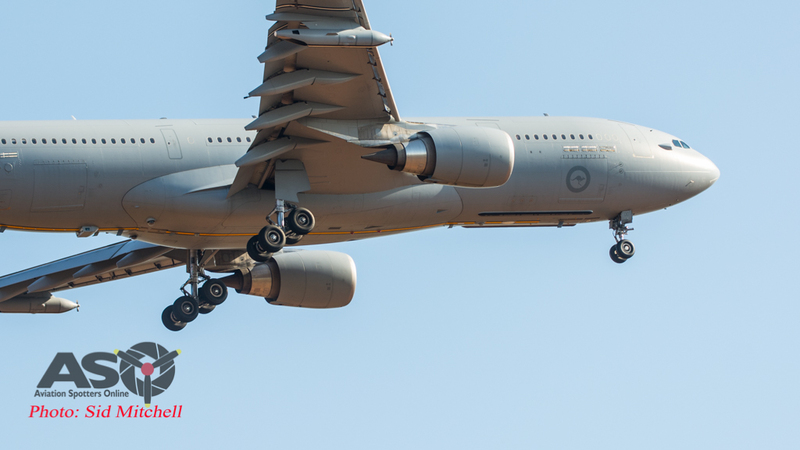 The RAAF C-130J Hercules will flypast at about 10:00am and the C-17 Globemaster III will flypast at about 2:15pm. 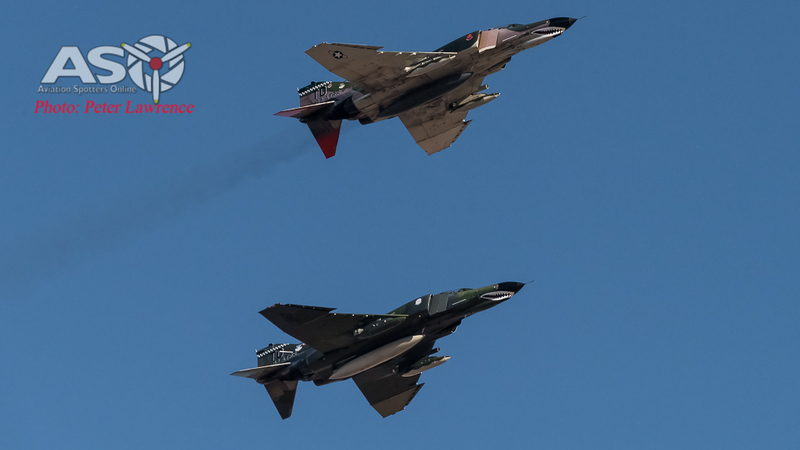 Both will fly from East to West across the ADFA Parade Ground at an altitude of approximately 90 metres during the flypast. 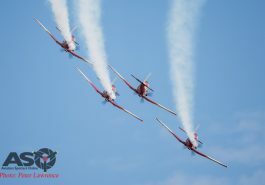 The Roulettes pilots will be available for a meet and greet after their display. 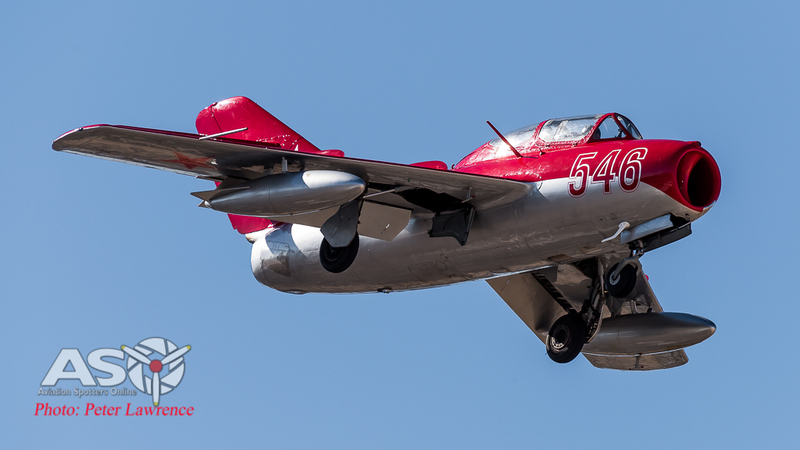 If you just can’t wait for this then have a look at the last major Roulettes display above Canberra….from inside the cockpit! 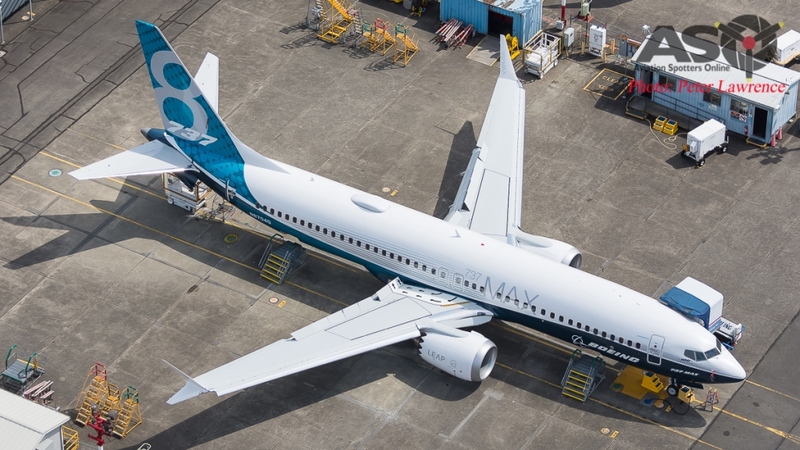 From the time it was announced early on Wednesday morning at the initial briefing, to the moment we walked across the scorching tarmac to board, the anticipation was high. 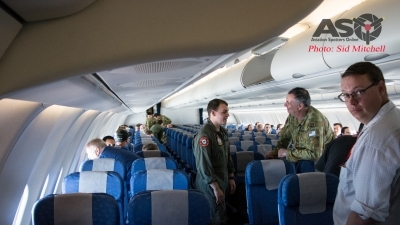 For many, this would be their first time observing an air-2-air refueling operation from on board the tanker aircraft. Before boarding the Royal Australian Air Force Airbus KC-30A (A39-001) we were given a detailed briefing on what we could expect. 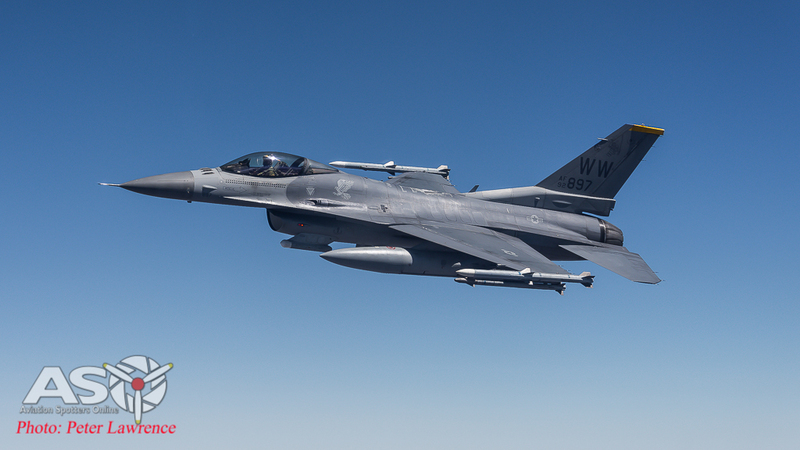 The schedule called for a departure to the exercise airspace then first meeting up with 8 USAF F-16’s. 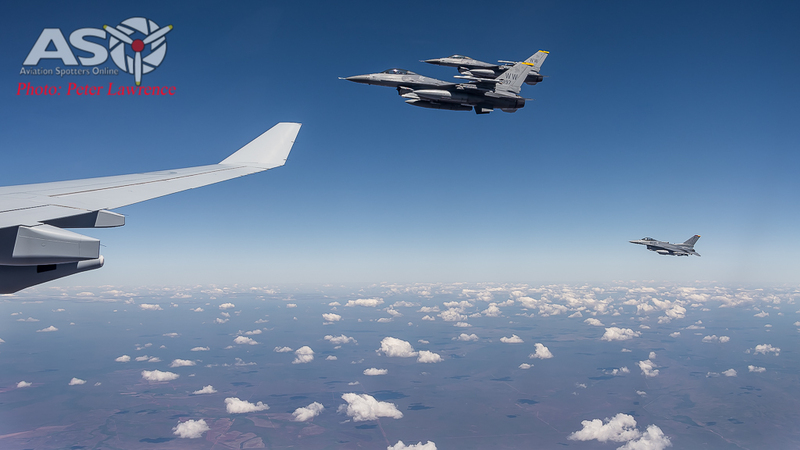 A short break was to be followed by the tanking of 2 RAAF F-18 Super Hornets. 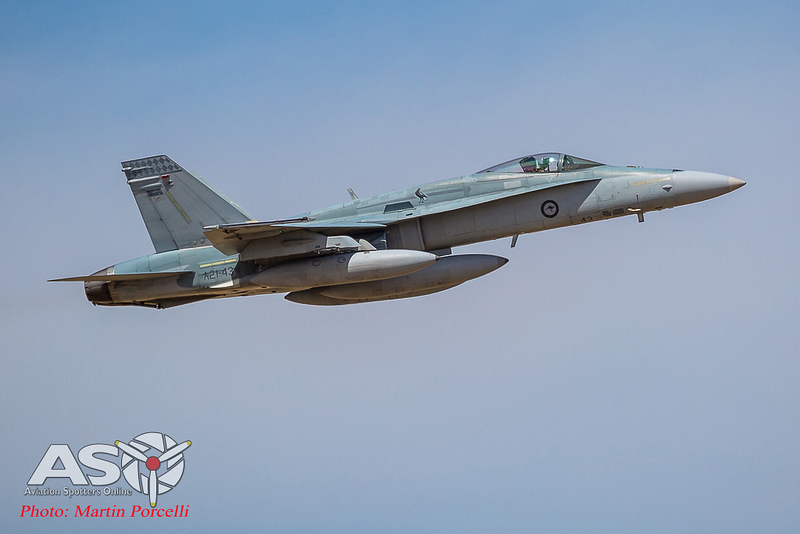 RAAF F/A-18F Super HornetsA39-001, the KC-30 used for our media flight, was first built back in March 2006. 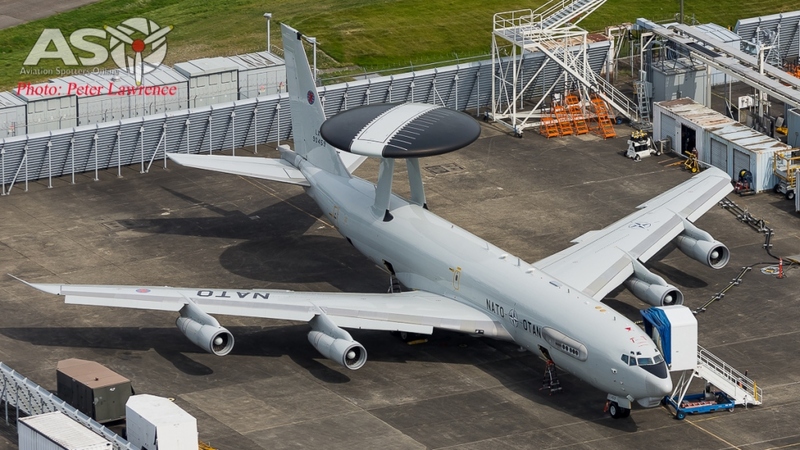 Over the following years this air frame was used by EADS Conversion & Modification Centre in Getafe, Spain to build, install and test the air to air refueling equipment (boom, hose & drogue units plus the electronics). 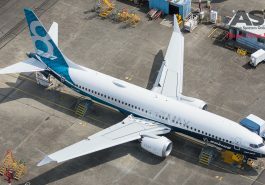 The remaining aircraft were converted by QANTAS Defence Services in Brisbane, Australia. 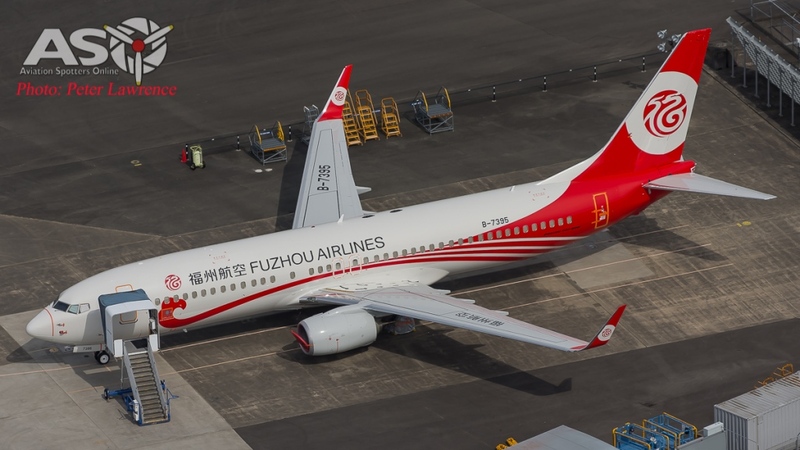 The plan is to have 7 air frames active by 2018. 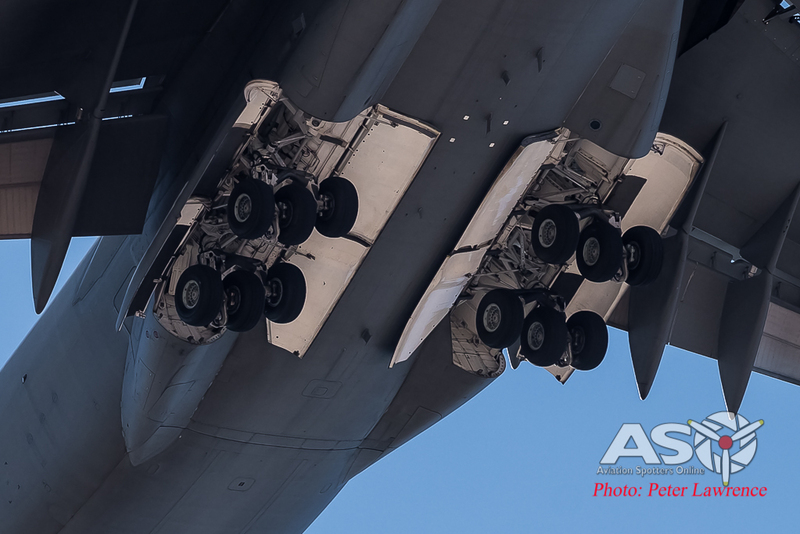 With operators including the United Kingdom, the United Arab Emirates and Saudi Arabia, the KC-30 worldwide is tallying a very impressive record. It has already proven itself as a class leading tanker, but also excelling in troop and cargo transport. 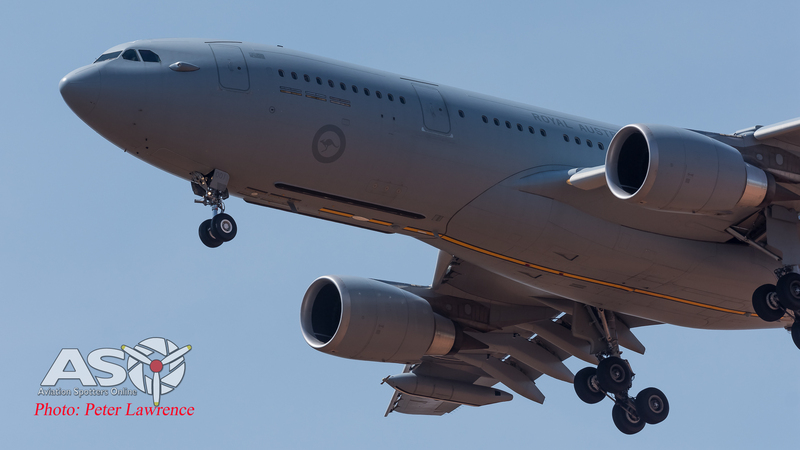 Especially for the Australian Air Force the KC-30 is another example of how modern assets like it can be very effective force multipliers. Back to the flight, after clearing security and signing the relevant documentation we were taken out to board the aircraft. 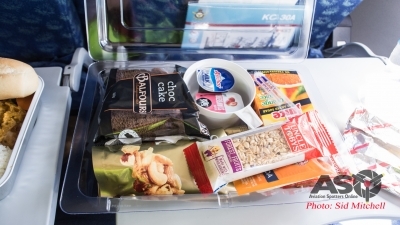 Internally, you could be forgiven for thinking that you had just boarded a regular A330. 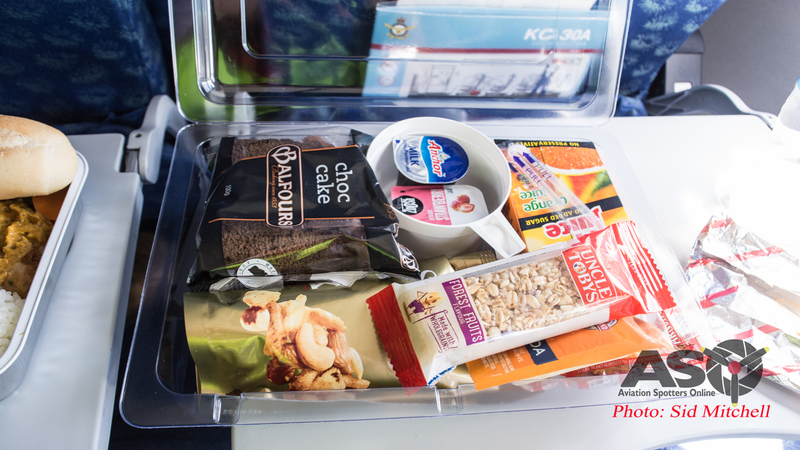 The interior is fitted out just like a regular civilian aircraft. 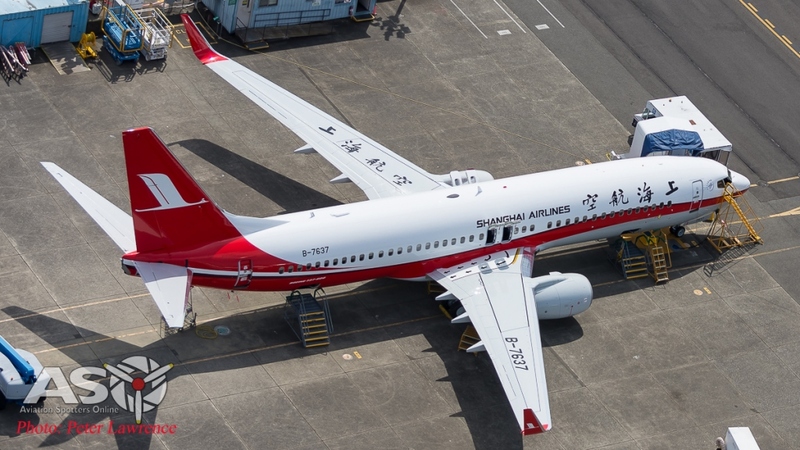 The RAAF’s aircraft can seat up to 270 passengers in a 2 class configuration. 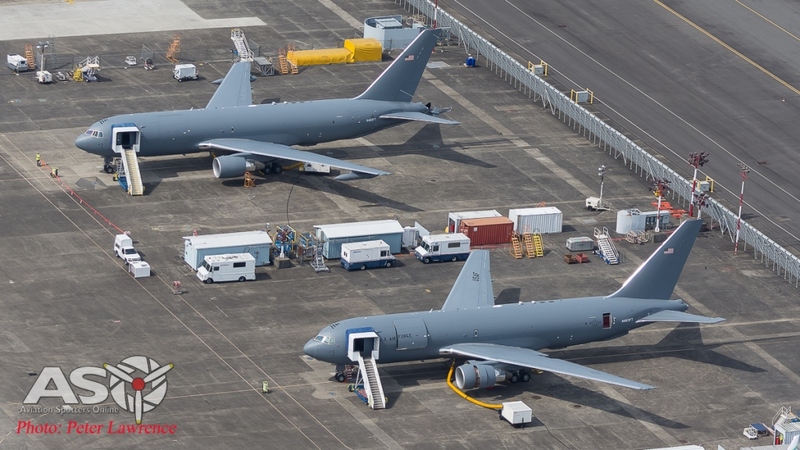 The main interior difference and also the big change from the traditional tankers of the past (KC-135’s & KC-10’s) is the location of the Air Refueling Operator. This position has been moved from the traditional location in the tail up to an area just behind the flight crew. 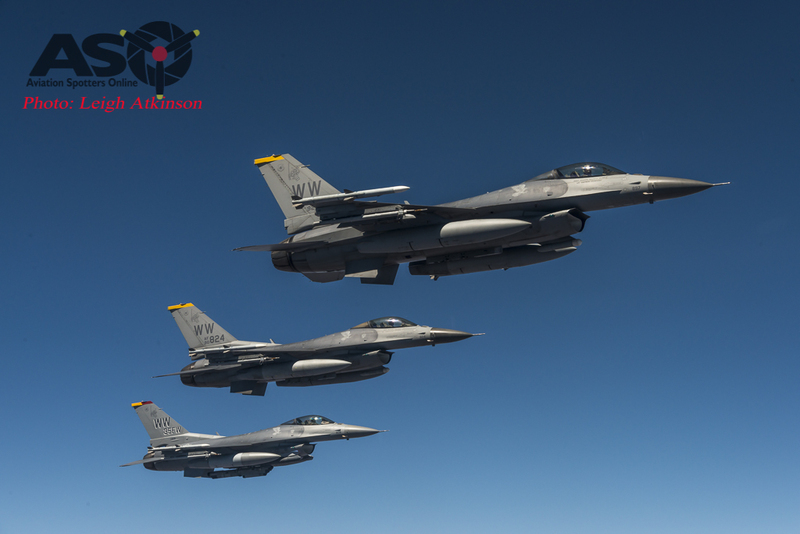 The flight departed at 12:05 and after about 30 minutes the first thirsty guests arrived in the form of 4 USAF F-16’s from the 14th Fighter Squadron. 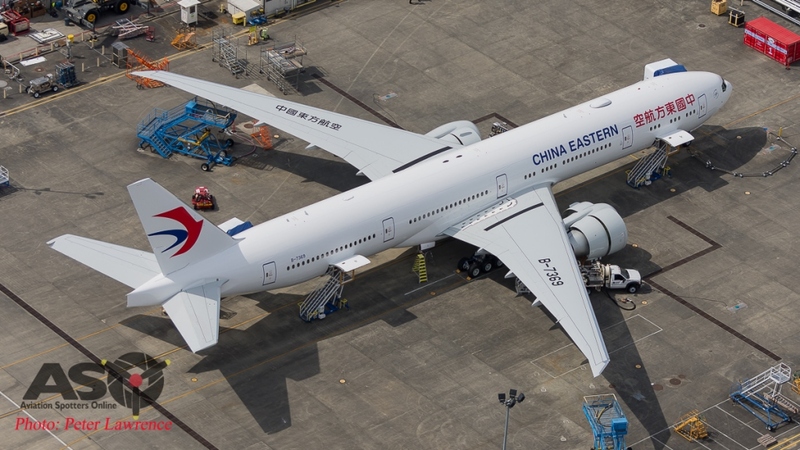 The aircraft formed up off the port side then proceeded one by one to receive fuel. After the refueling was complete each aircraft then position to the starboard wing to wait for the remaining team members to finish. 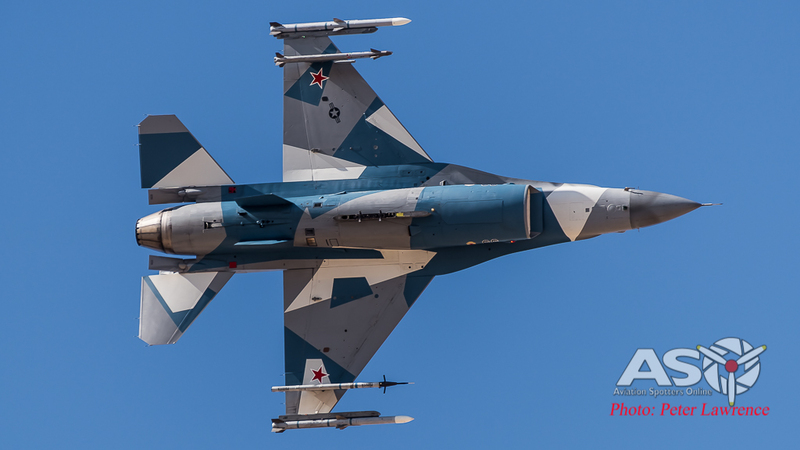 After the first 4 another 3 F-16’s arrived and repeated the process. 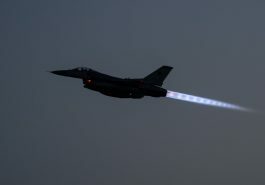 Once complete the fighters broke away and returned to the exercise area. 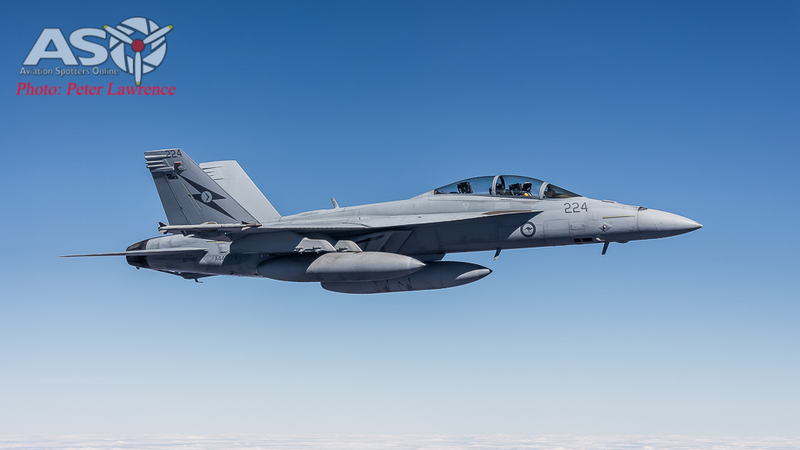 After a 40-ish minute break (in which time a very generous lunch was served to all on board) the second round of refueling began, this time with a pair of Australian Air Force Super Hornets. 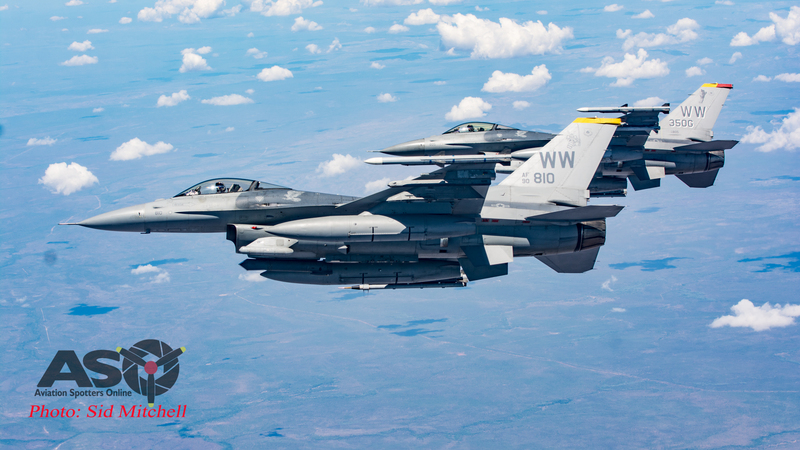 As opposed to the F-16’s which used the KC’s centrally mounted boom, the Hornets use the tanker’s wing mounted hose-and-drogue units. 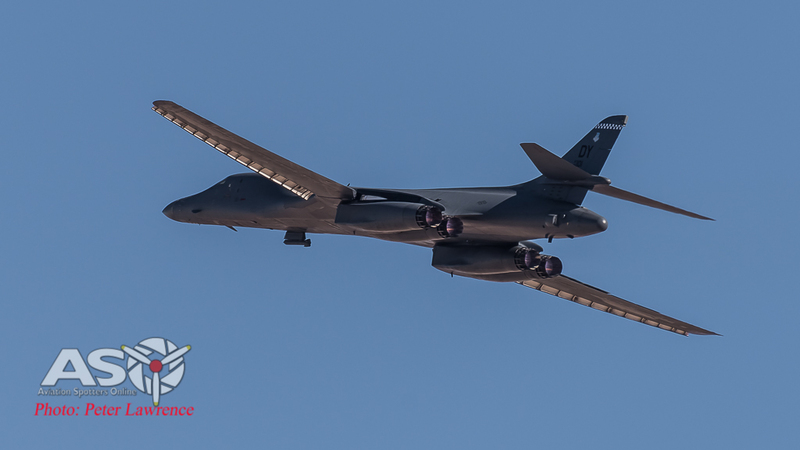 From a photographic point of view this provided an amazing opportunity to capture the receiving aircraft from a close distance to the tanker aircraft. 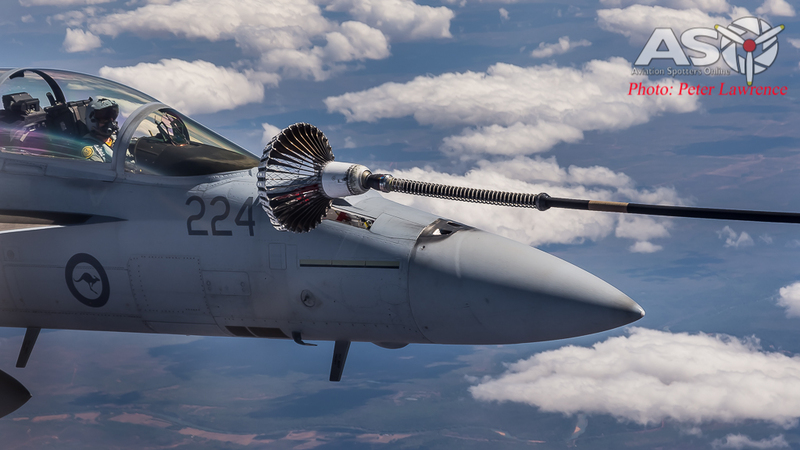 A Super Hornet takes a well deserved drink! 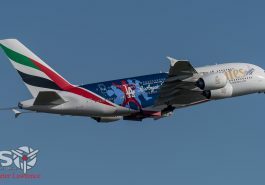 As a parting gift to all the media on board the tanker, each aircraft formed close off either side wingtip and then departed by going into full afterburner and climbing away while accelerating straight ahead. 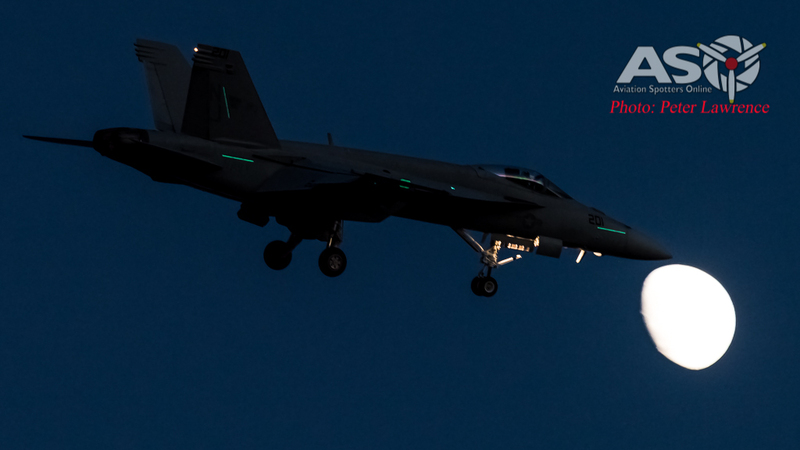 RAAF F/A-18F Super Hornet departs with after burner kicked in. 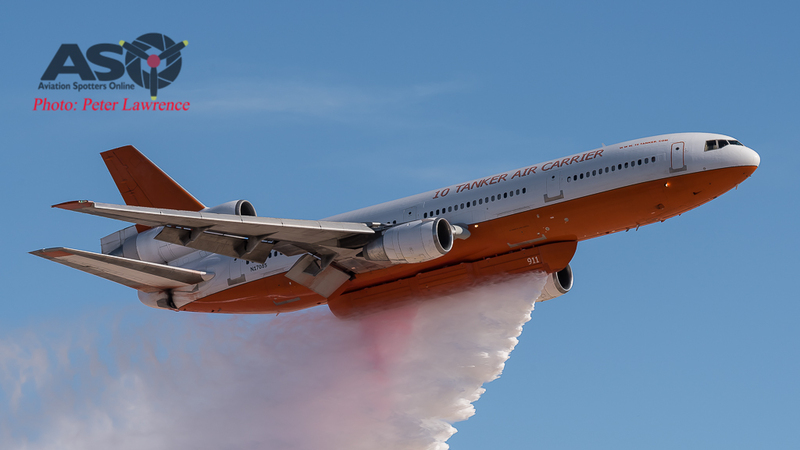 The tanker then returned to Darwin in a very spirited descent & landing (in comparison to a commercial A330 profile). All up the flight lasted just over 3 hours. All in all this for many was a very unique and privileged experience, something that I think we all could happily do again. As with all the organized events over the 3 day embedded program it was very well organized and well executed. 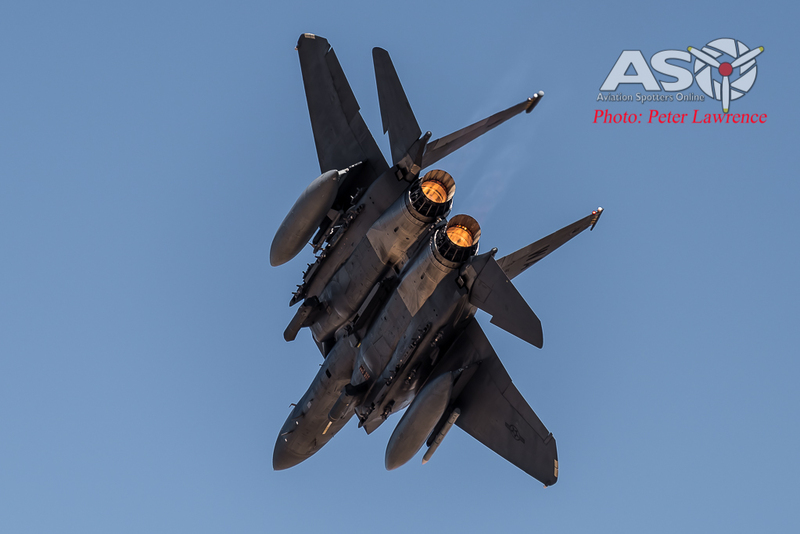 ASO would again like to thank the RAAF media team, without which this special event could not have happened. It was a privilege to have 5 team members on the flight to ensure we got great coverage. 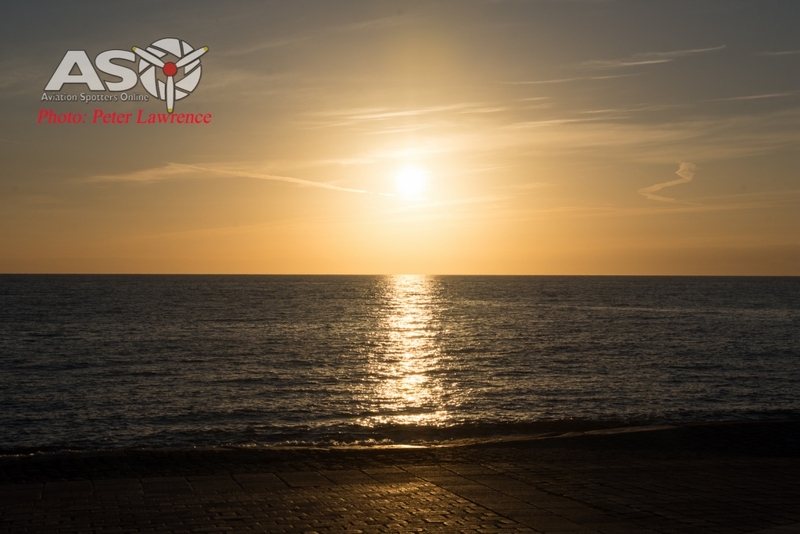 I decided to create this ongoing blog so I am able to share some of the more interesting photos that I amass as I travel the country & the world! The shots at the top will be the most current etc. 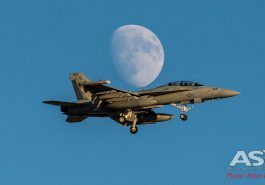 A quick couple of shots from RAAF Edinburgh. 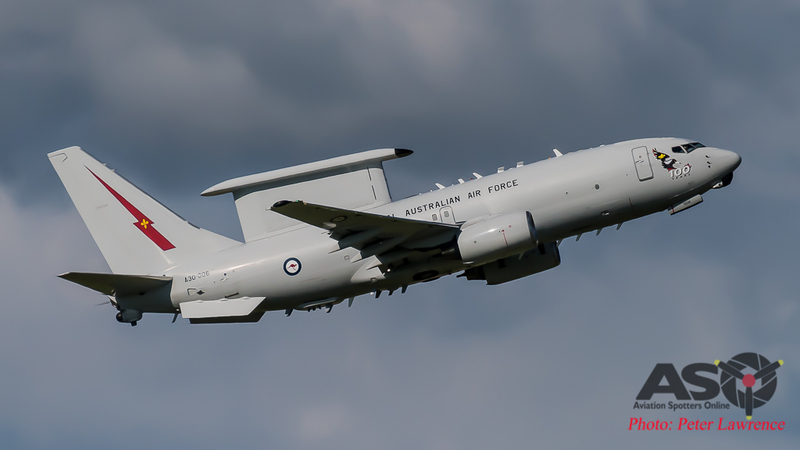 On Friday I caught Royal Australian Air Force Boeing E-7A Wedgetail (A30-001) departing off runway 18. 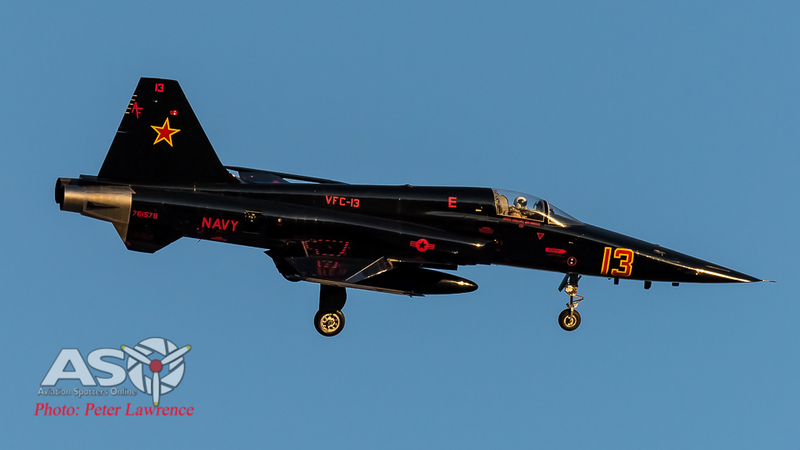 This aircraft carries the 100 years nose art. 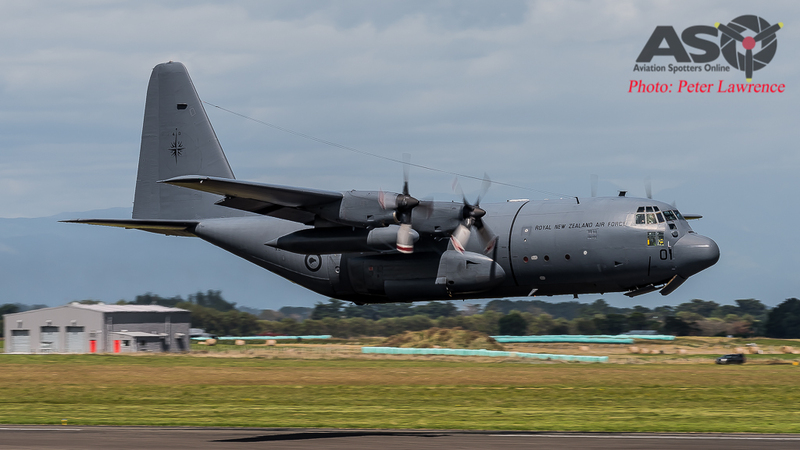 Today (Sat) I shot the Alenia C27J Spartan (A34–001) arriving into Edinburgh from Richmond, NSW. Today was the Aviation Australia Careers Expo, held at their training centre near the old international building at Brisbane airport. 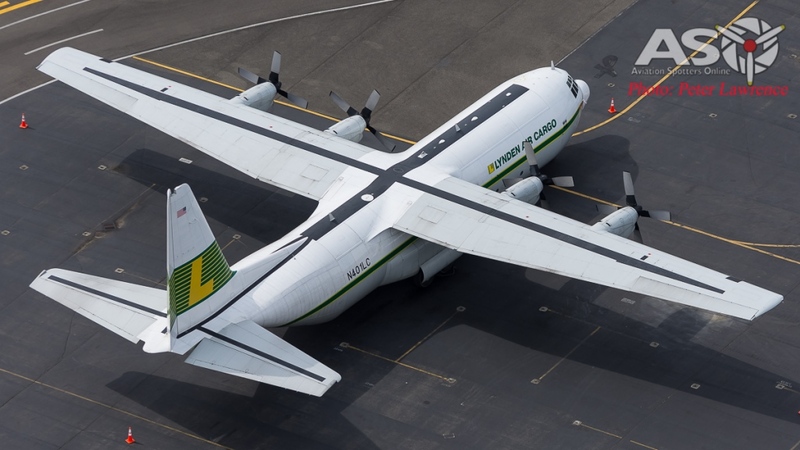 There was a static display as well on the logistics apron. The weather was kind for most of the day allowing some reasonable photos. 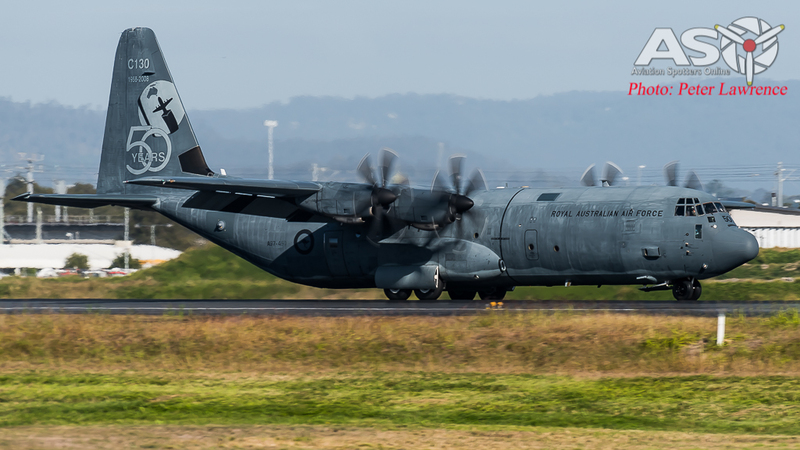 RAAF C-130J (A97-450) Arriving into Brisbane for the static display. The day starts with an early alarm…..I need to be up on the hills in case the flying starts early in the morning. I climb out of bed and slowly ready myself for the day ahead. It’s only a 40 minute drive from my hotel in the sleepy seaside town of Aberystwyth to the loop but on a busy day parking can be at a premium. 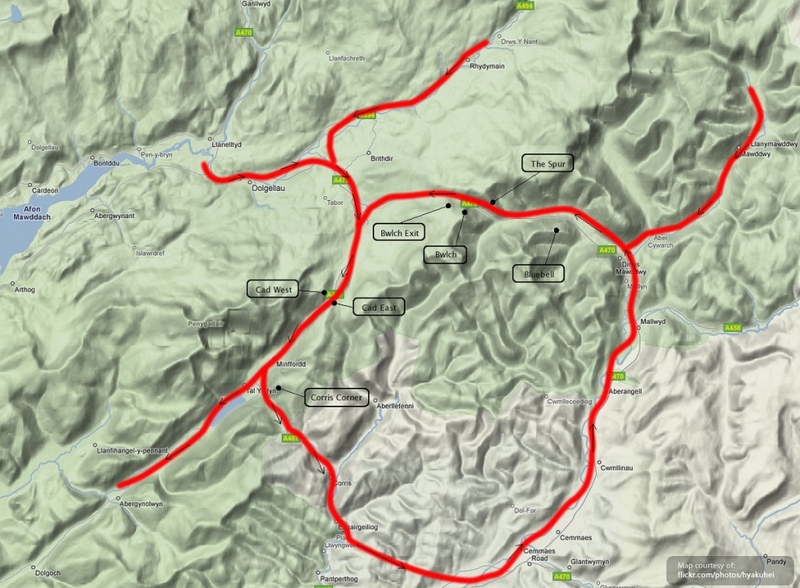 The Machynlleth Loop, or simply the “MACH Loop”, is a series of valleys in west-central Wales, approximately 15km east of Barmouth. 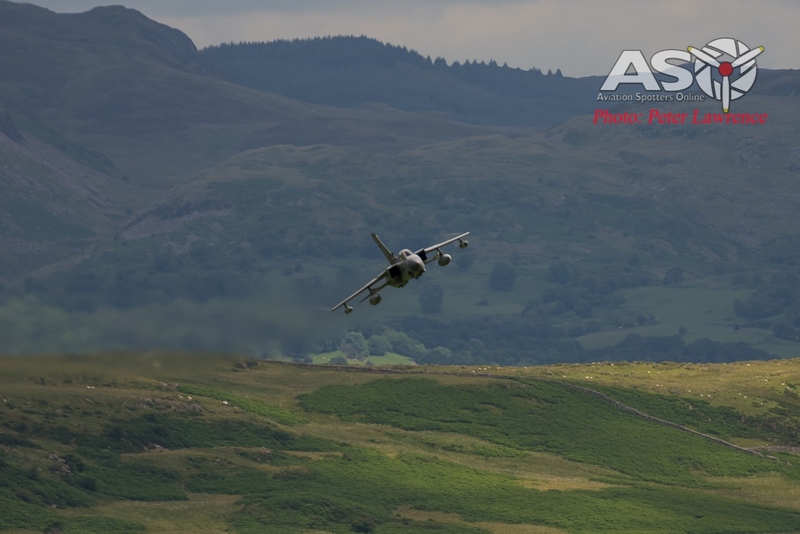 It is known around the world for the fast military jet aircraft that conduct low level training through the picturesque hillsides. There are around 5 to 6 spots to climb to but probably the most famous pair are CAD East & CAD West. 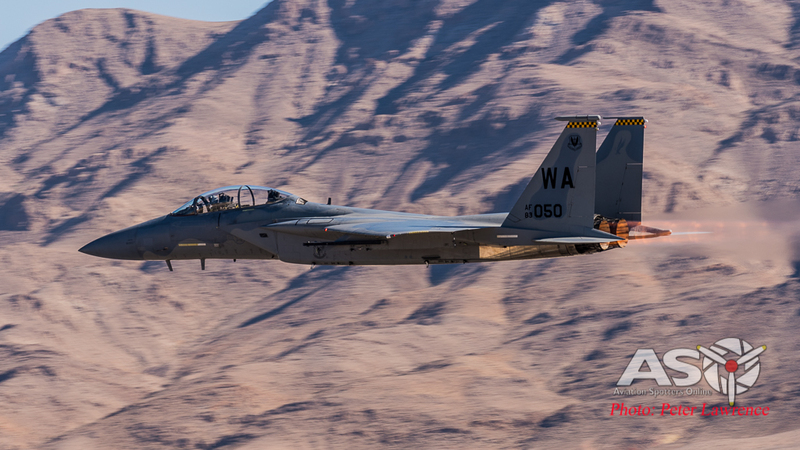 Being my first time up at the loop I decided to play it safe and head for CAD West. While looking fairly straight forward, the climb still turned out to be around a ½ mile….but over 51 stories. It defiantly shows people their fitness levels, or lack thereof! Day 1 (Monday) was not the best day, having arrived around 10am and only being able to stay until just after 1pm, due to the weather. For the whole time just a single Typhoon came through. It instantly provided proof to what the locals have always said…there are no timetables, not much heads up and no room for impatience. Day 2 (Tuesday) was another hit and miss day. 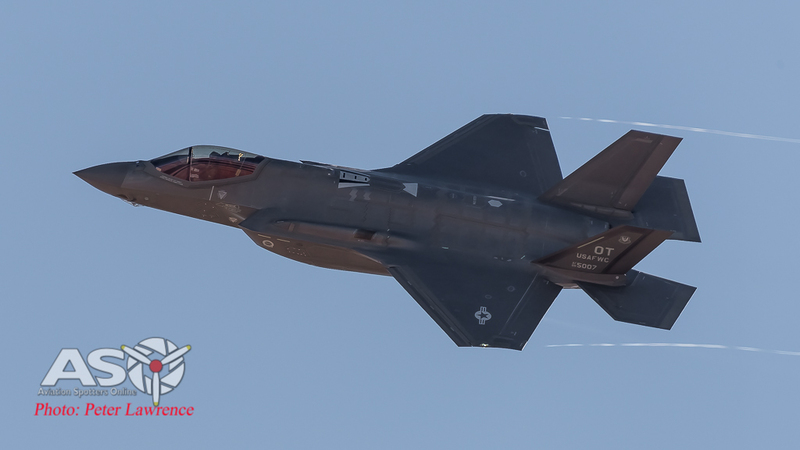 The weather was vastly improved yet, after again arriving before 9am and not leave until just after 5pm we only saw 3 passes, 2 Tornado’s and a single Hawk. 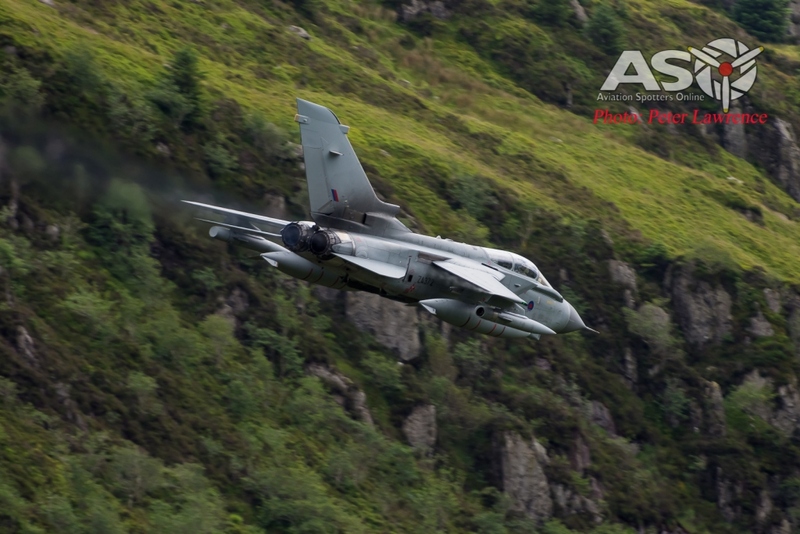 Due to commitments at RIAT I could only spend 2 days up the hill and although there was not much traffic to photograph, I still loved every minute. I doubt I would ever plan a trip to just come to the Loop as you could spend a week here and not see a single aircraft. But as a side trip whilst in the area, most definitely! 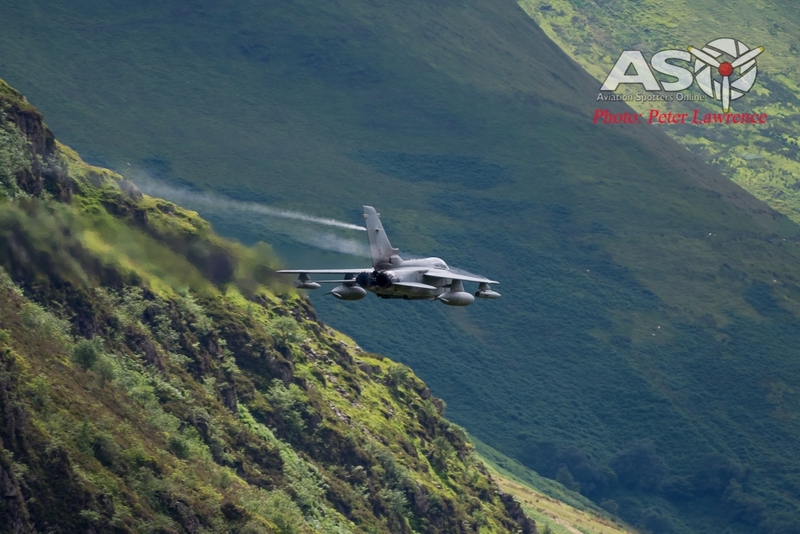 MACH Loop is not just about the aircraft. 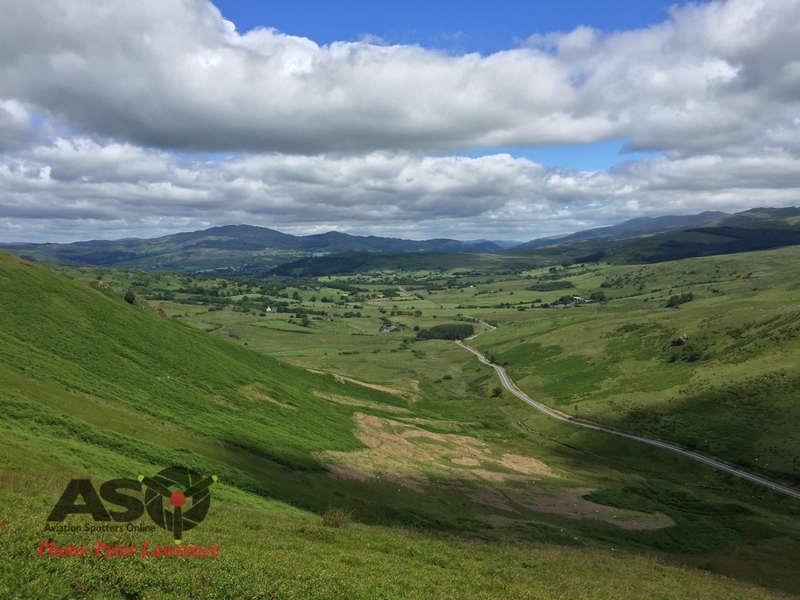 The roads throughout Wales are some of the best driving roads in the world with stunning scenery to match. On both days I meet new people, some local, others from as far away as I come from. The few photos I did get are some of the my favorite I have taken in recent years and along with the beautiful countryside, it was an extremely enjoyable 2 days.